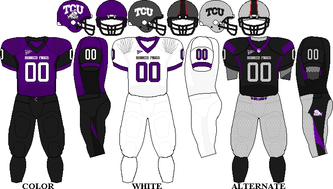 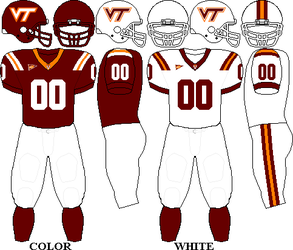 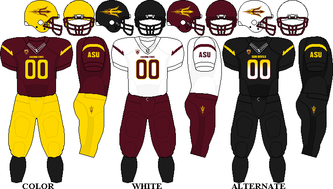 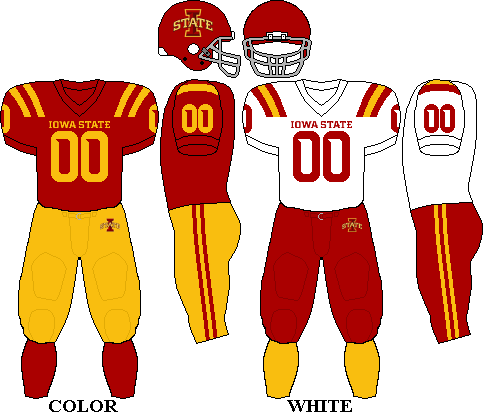 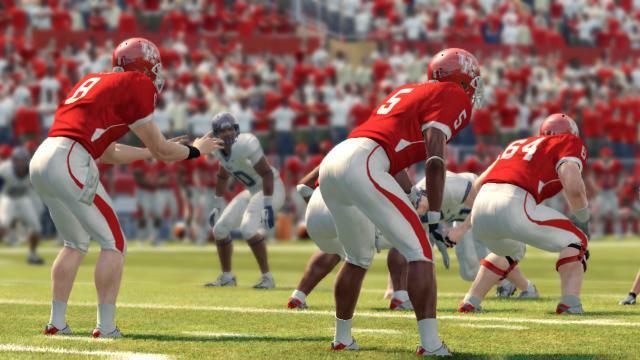 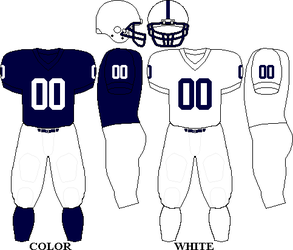 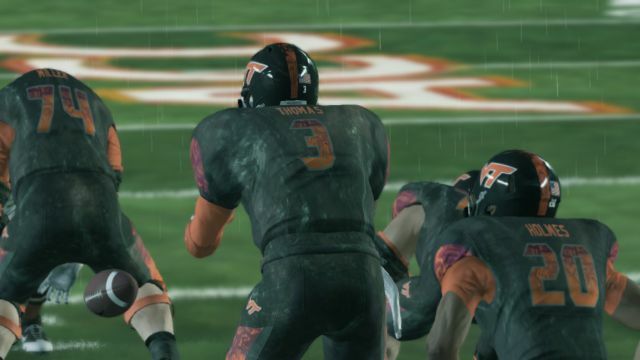 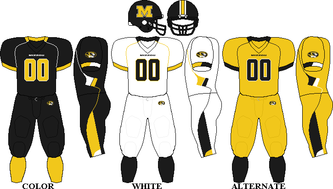 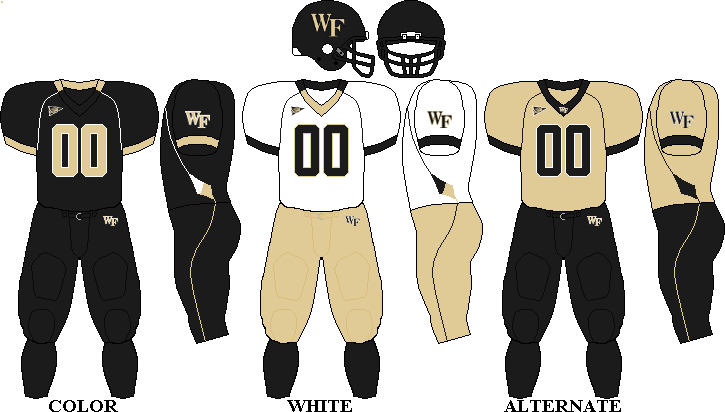 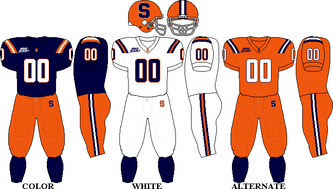 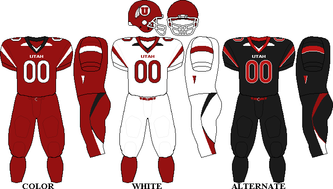 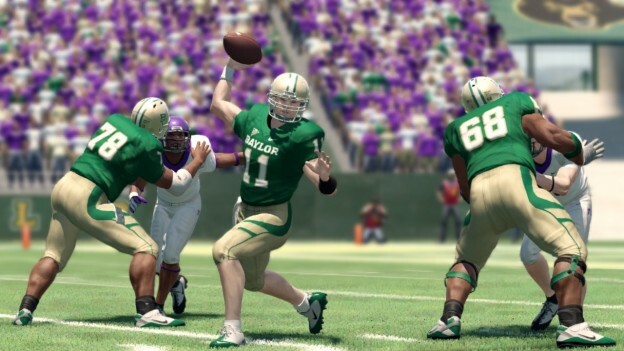 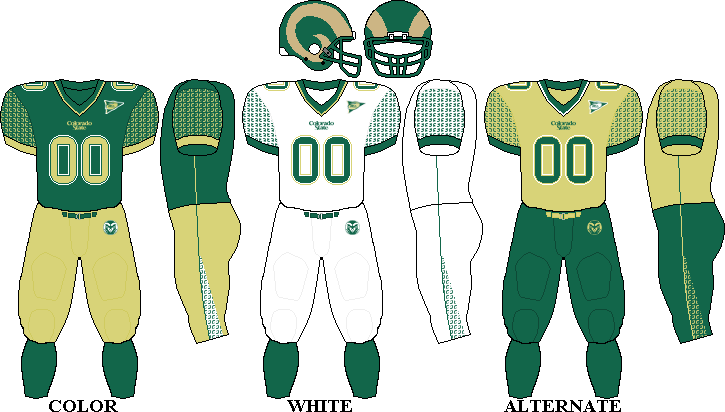 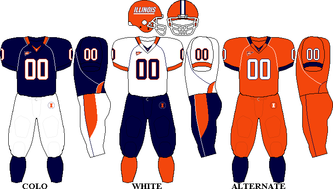 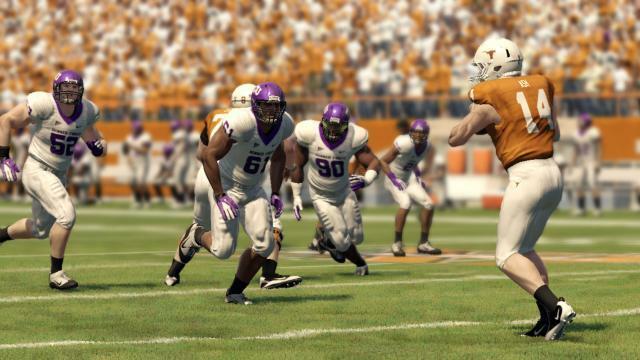 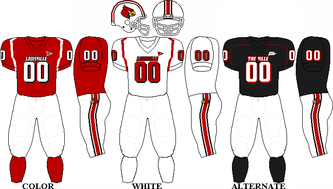 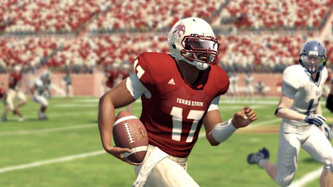 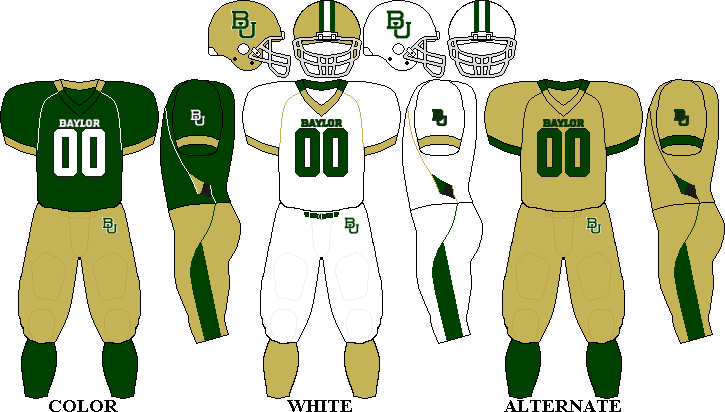 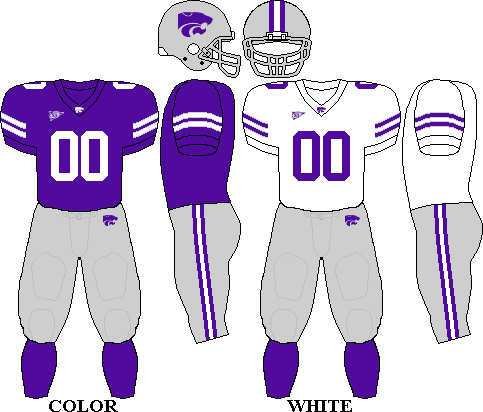 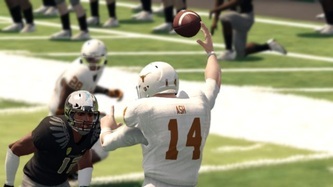 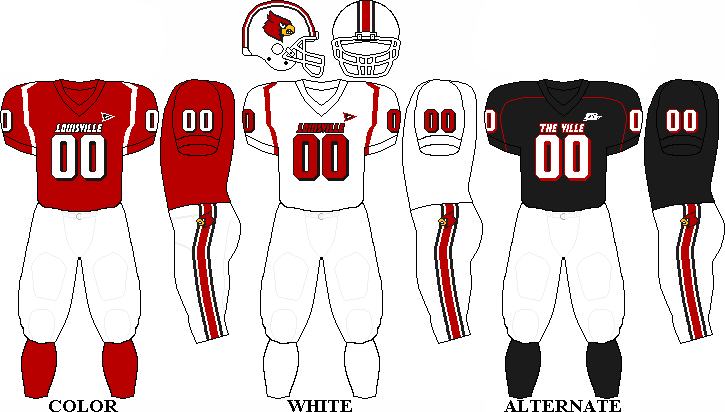 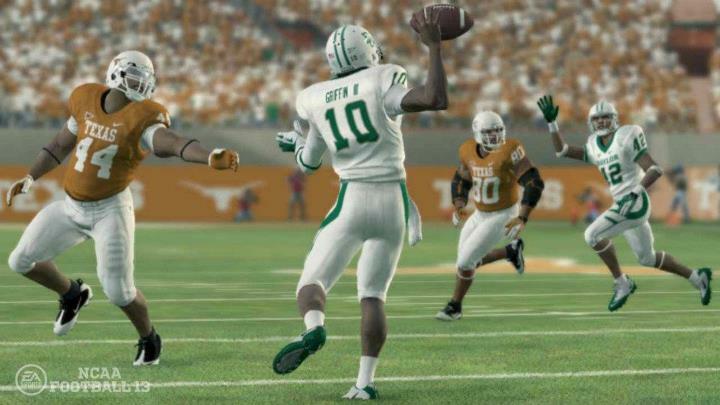 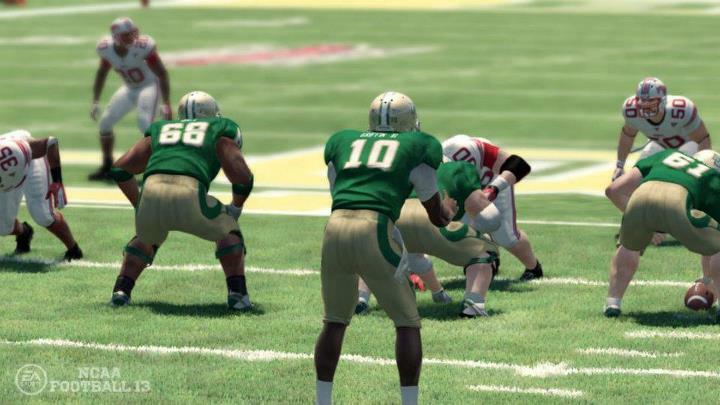 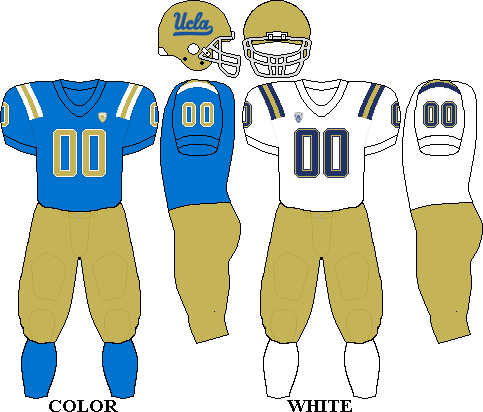 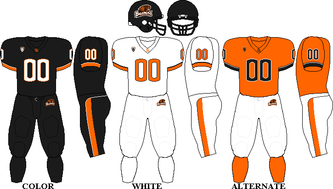 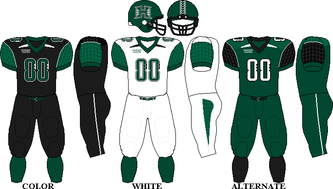 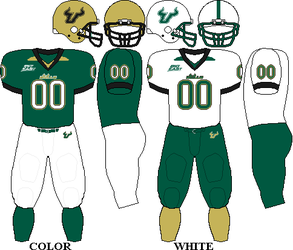 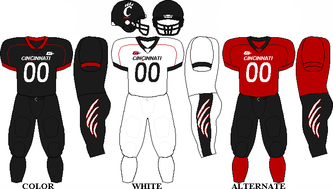 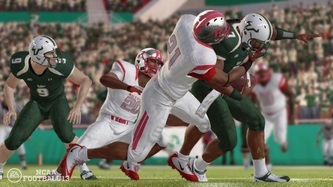 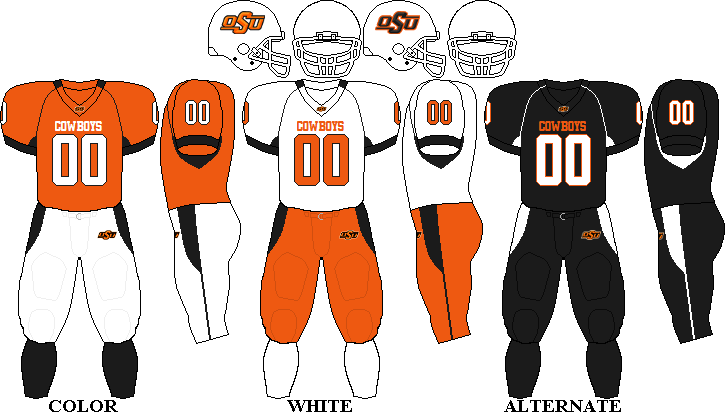 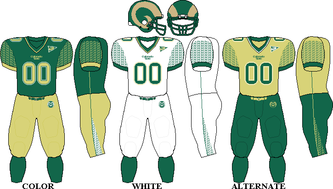 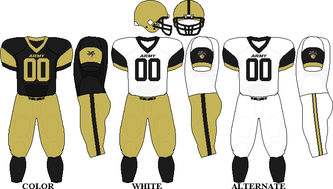 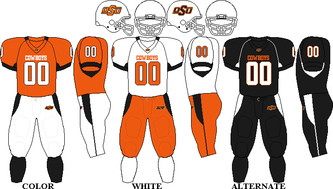 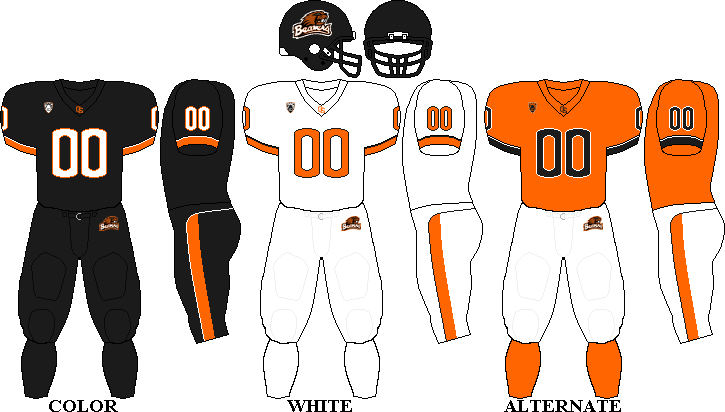 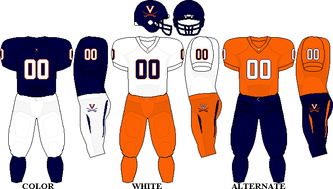 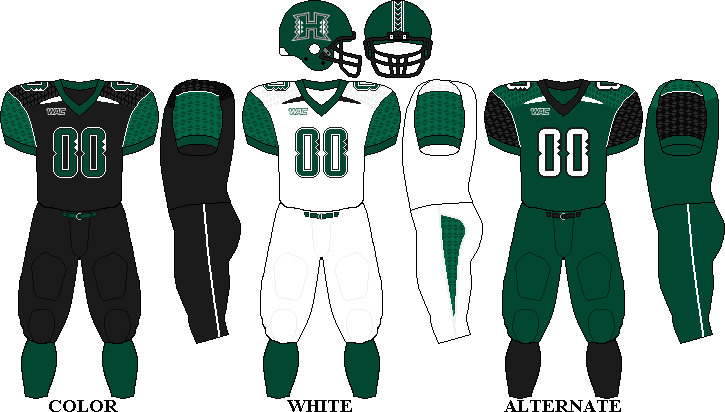 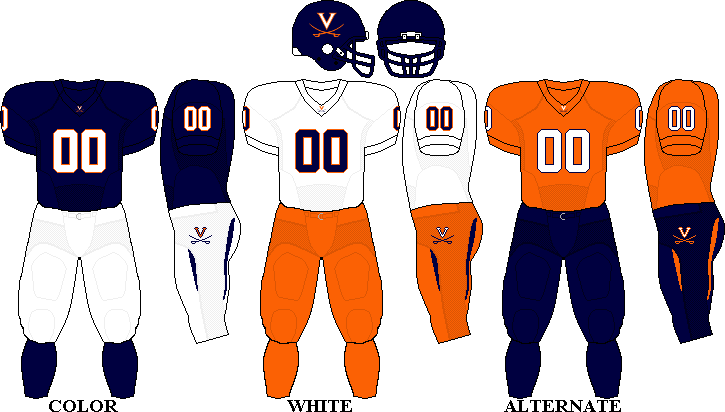 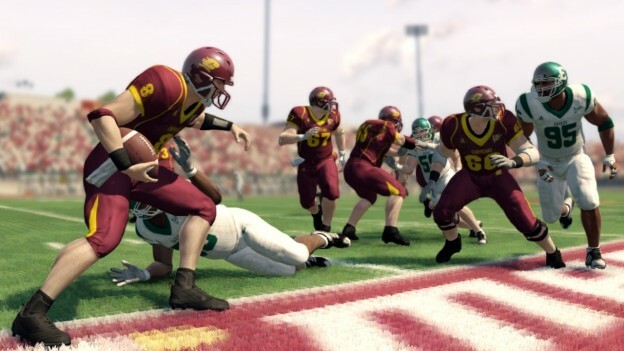 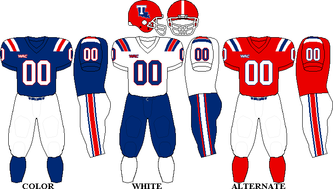 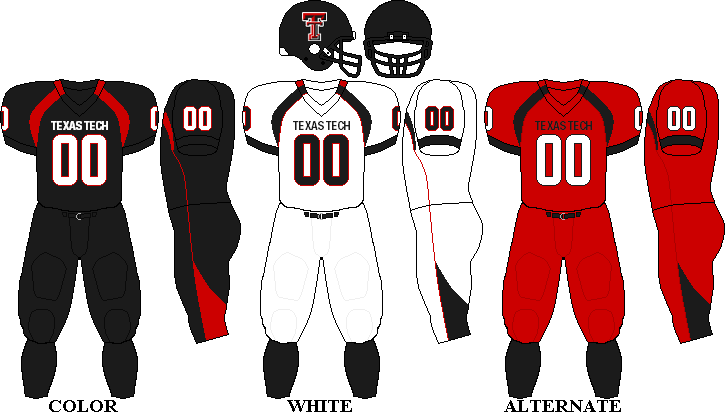 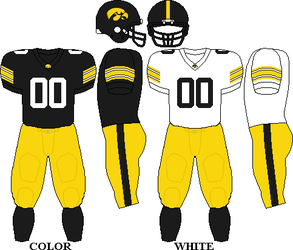 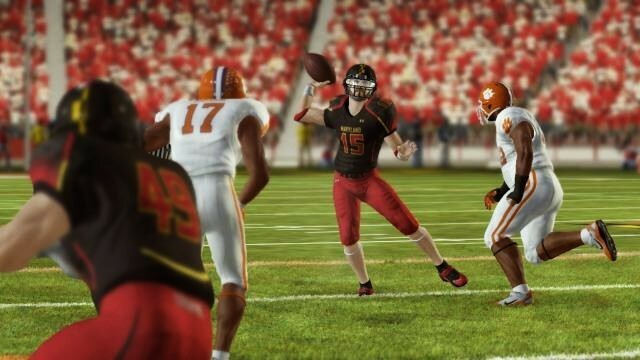 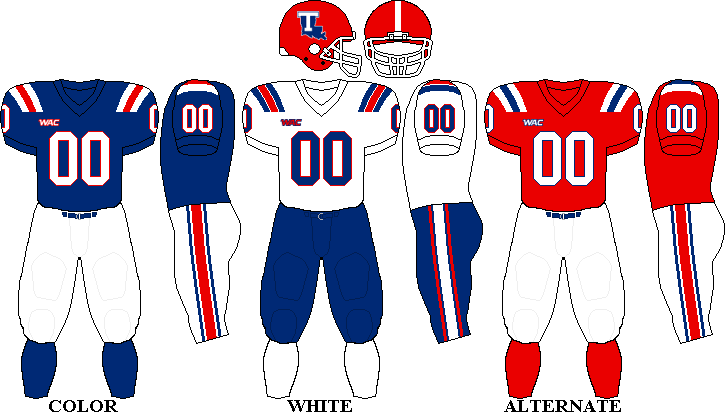 Massachusetts, Texas State, and UTSA were added to the game this year. 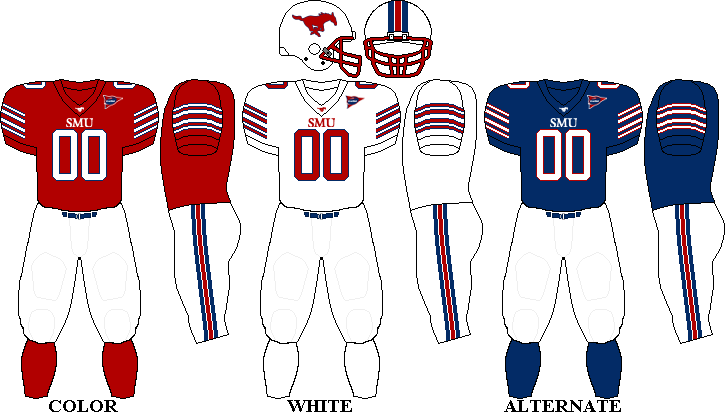 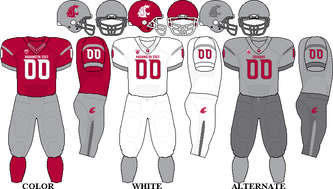 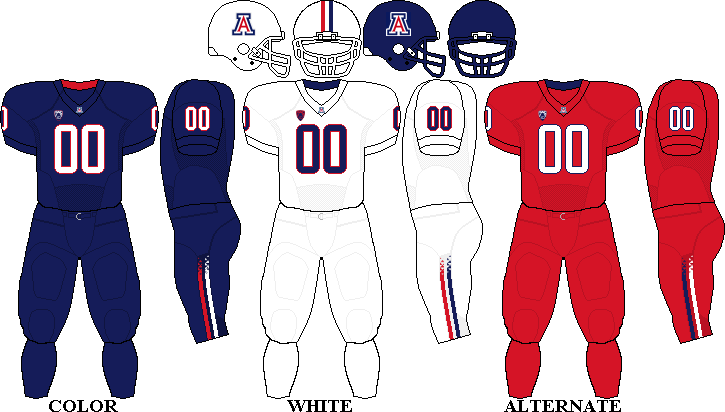 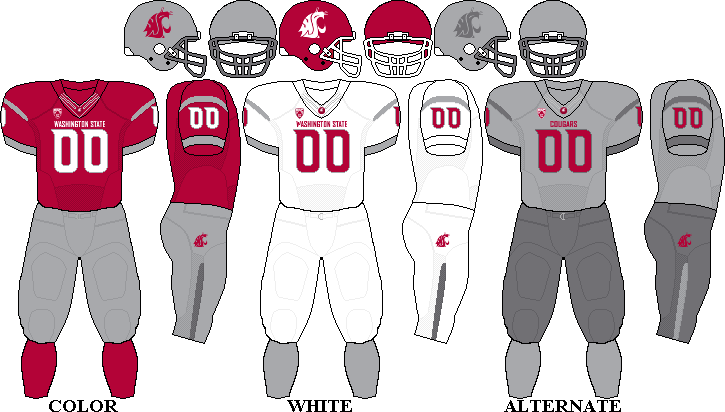 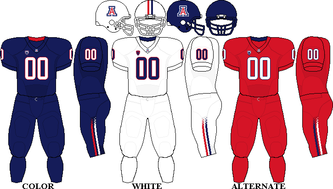 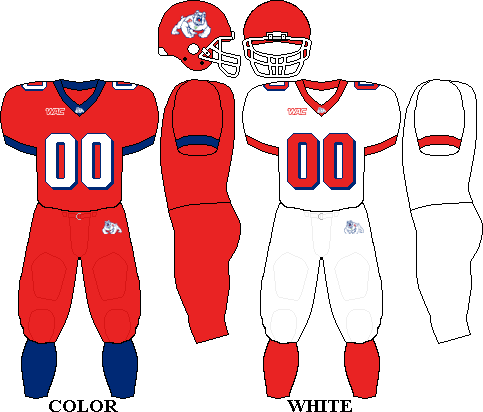 South Alabama also joined the FBS this year, but was mistakenly left out of the game. 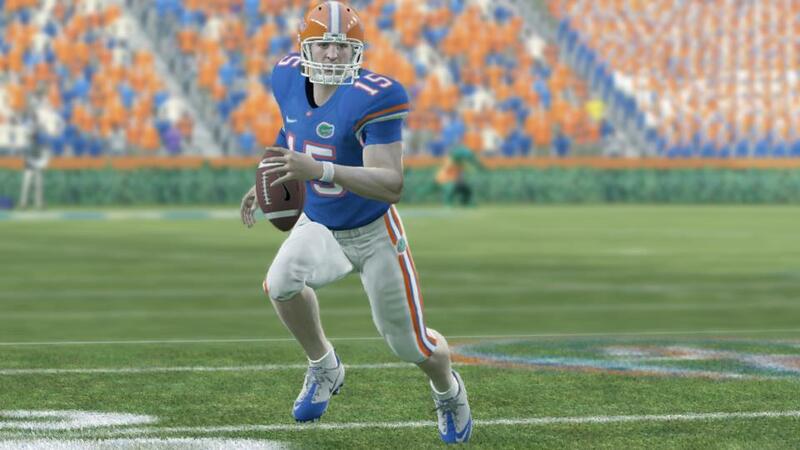 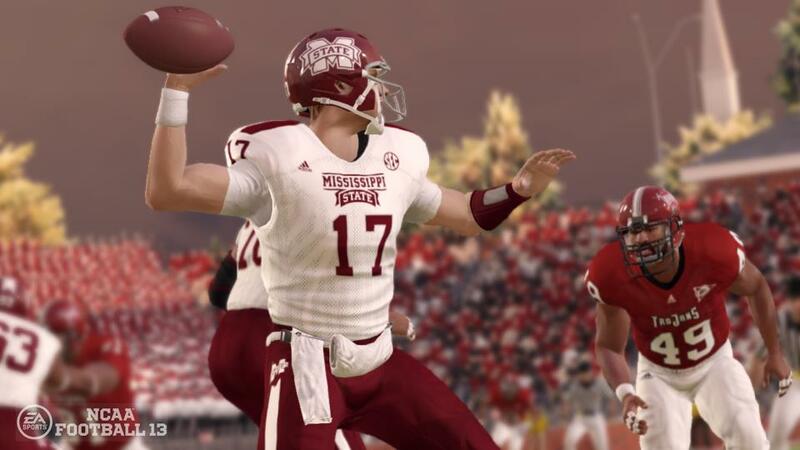 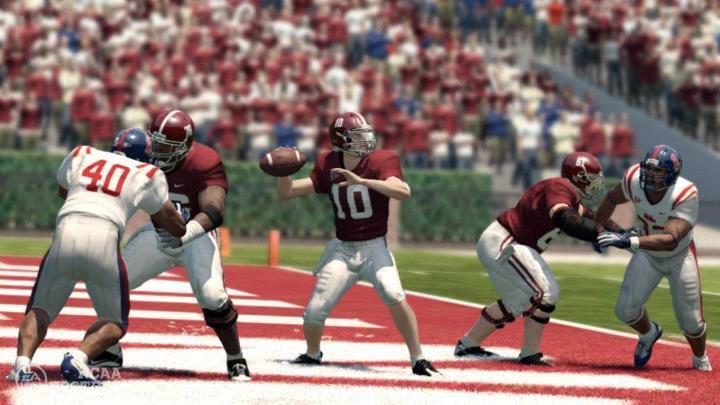 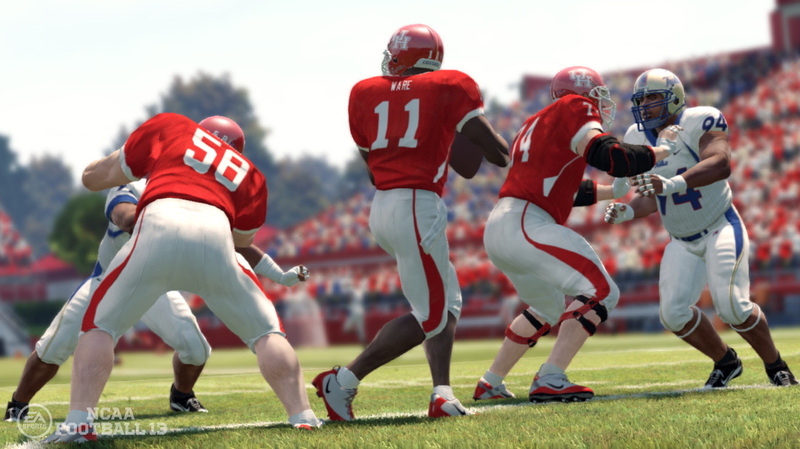 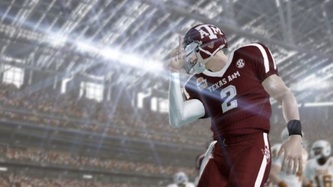 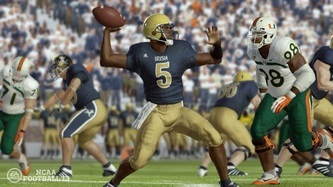 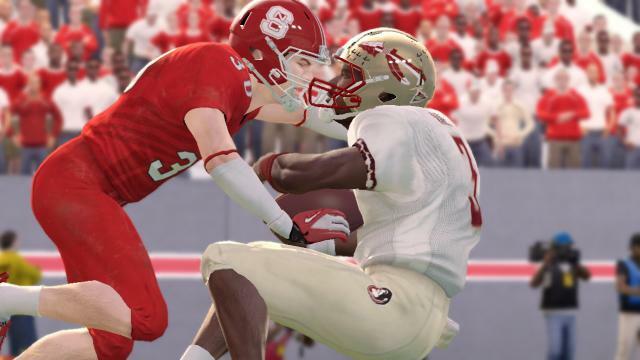 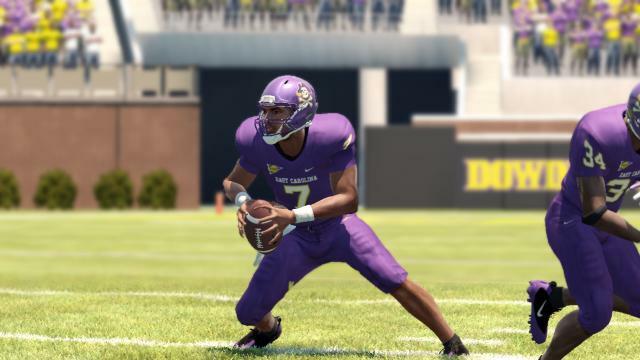 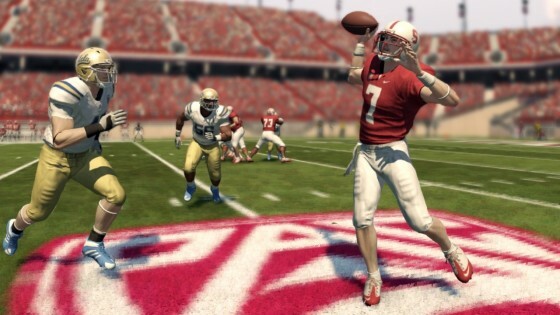 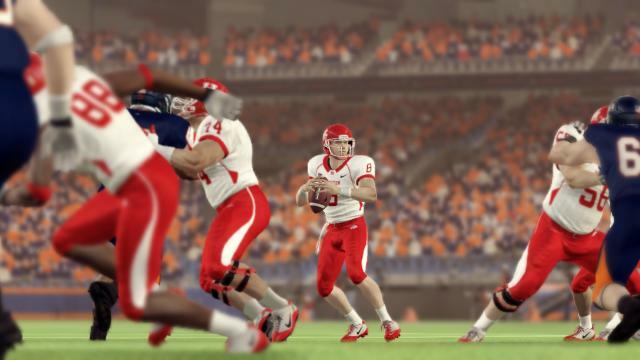 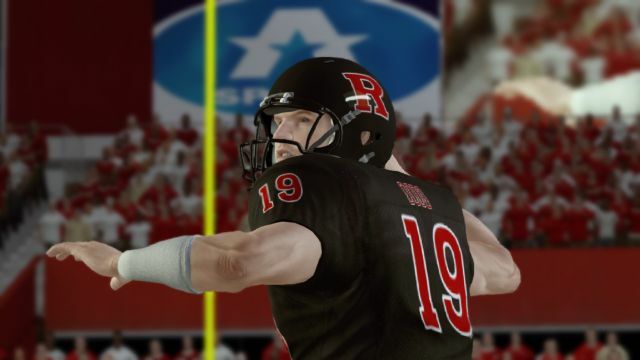 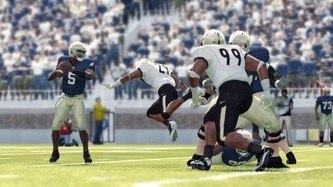 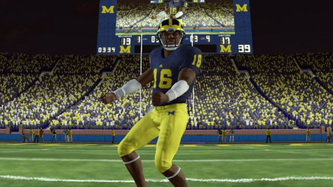 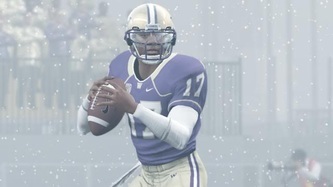 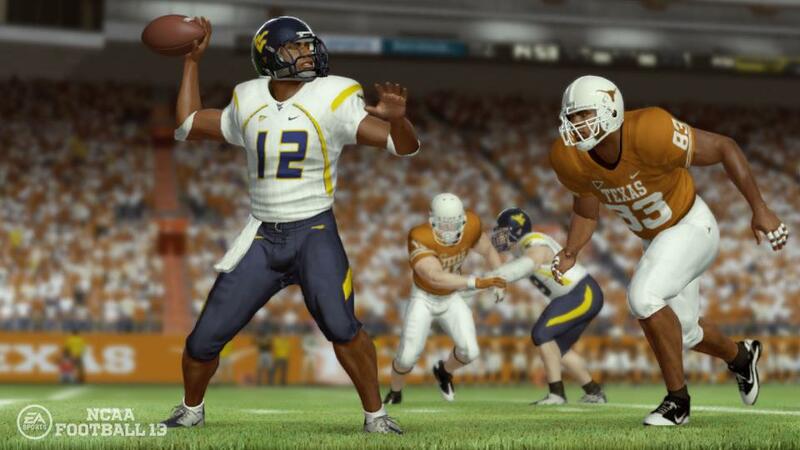 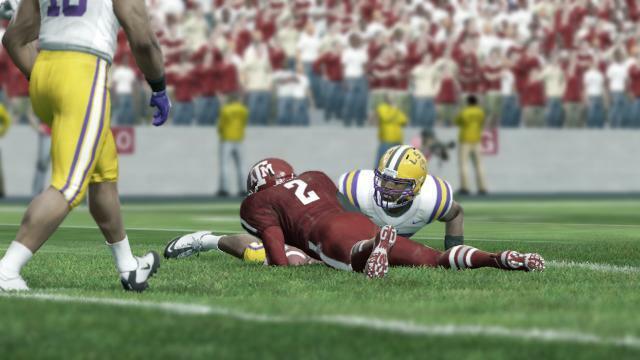 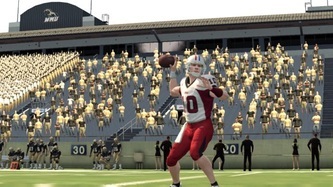 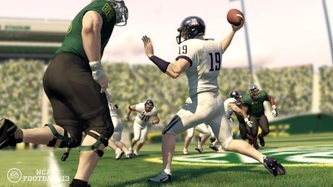 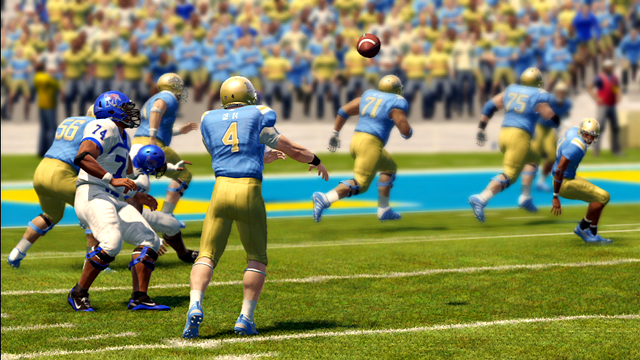 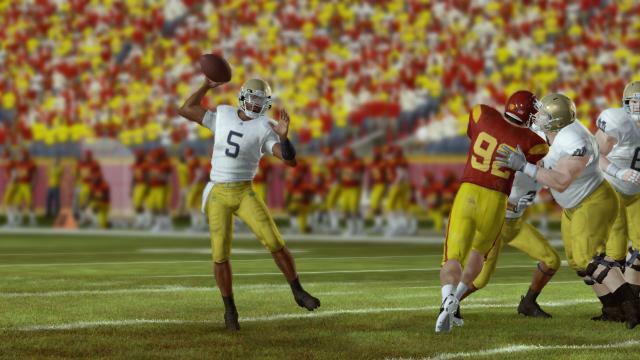 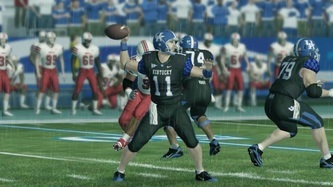 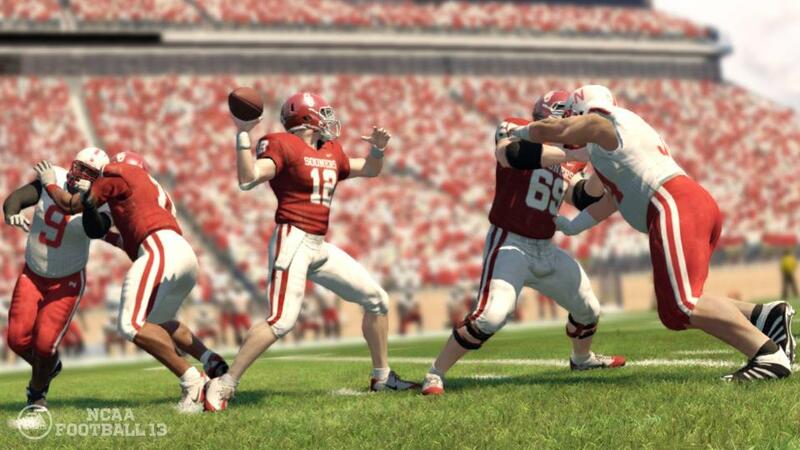 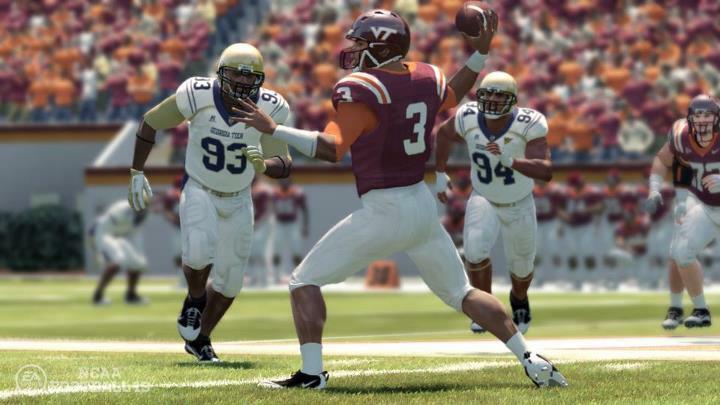 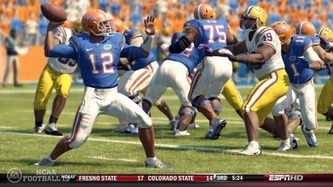 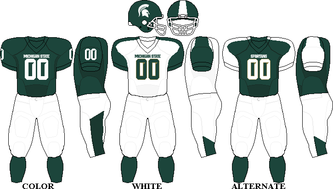 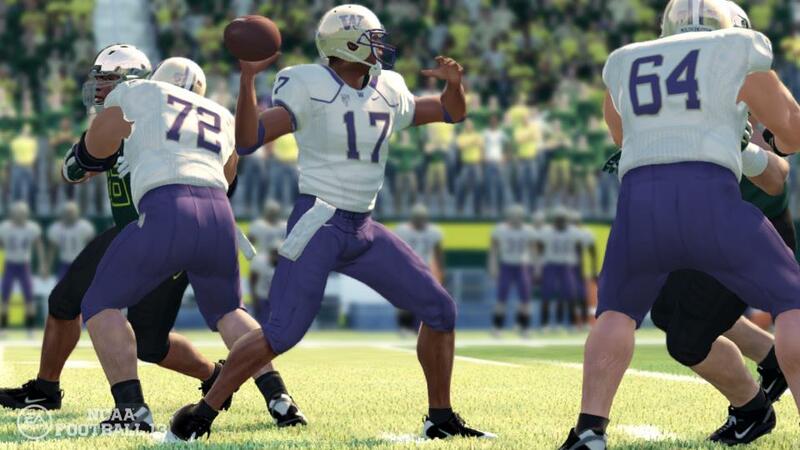 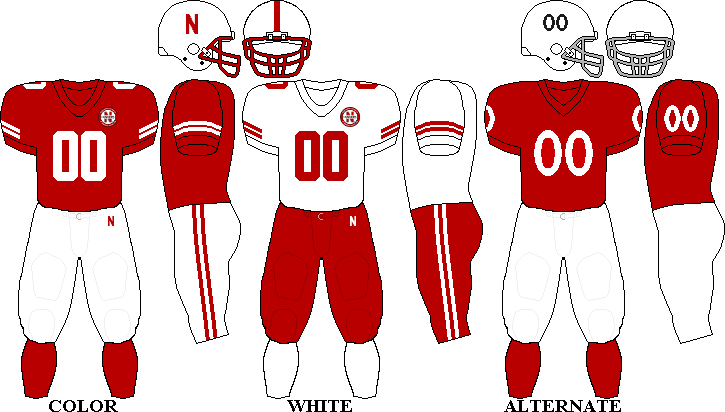 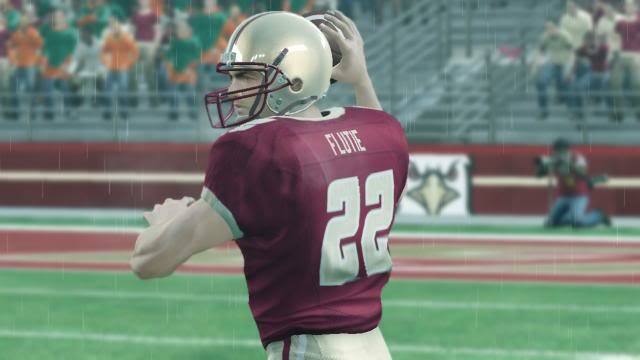 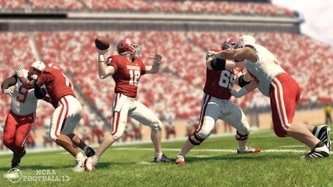 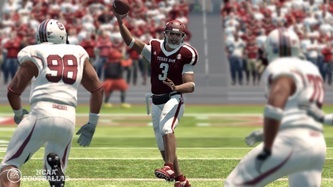 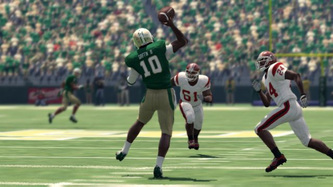 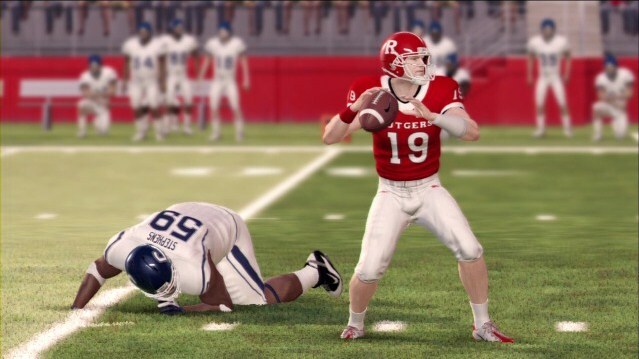 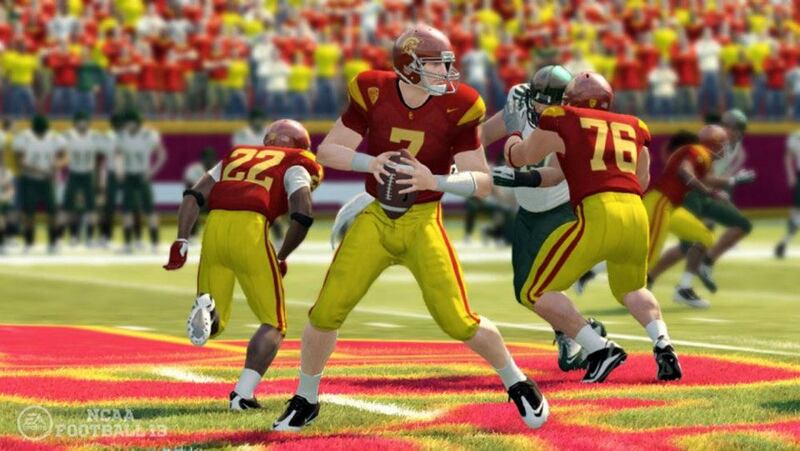 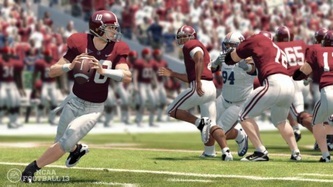 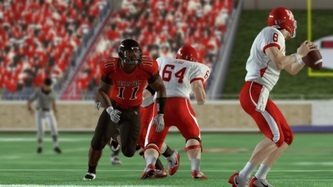 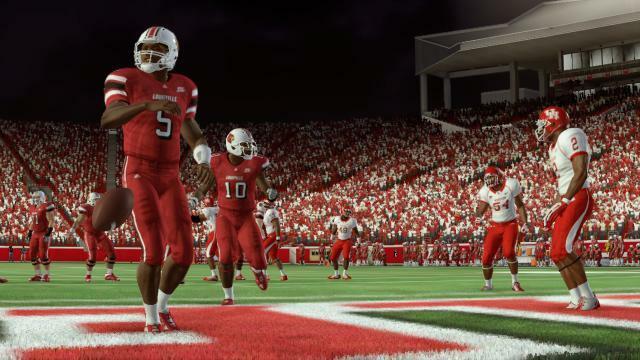 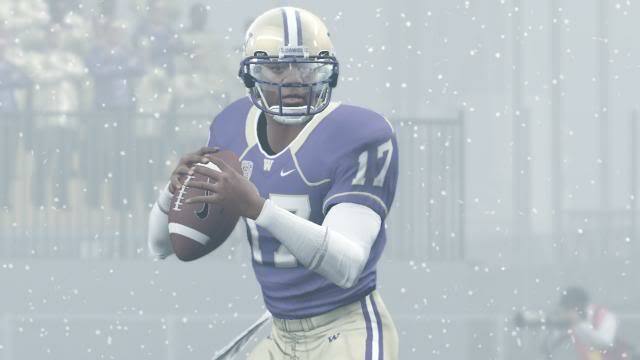 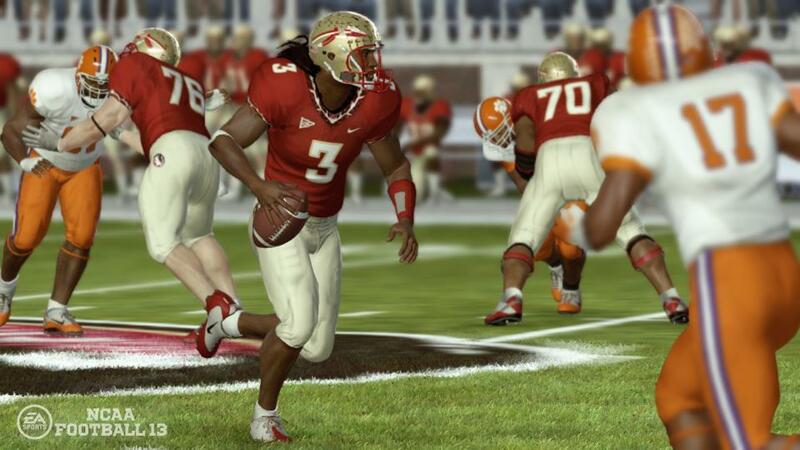 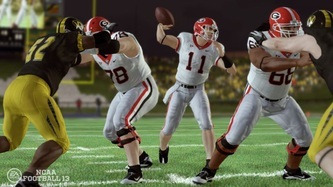 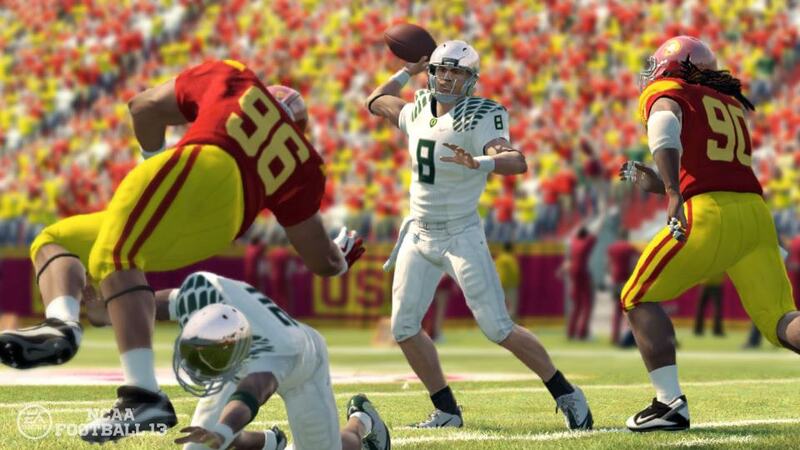 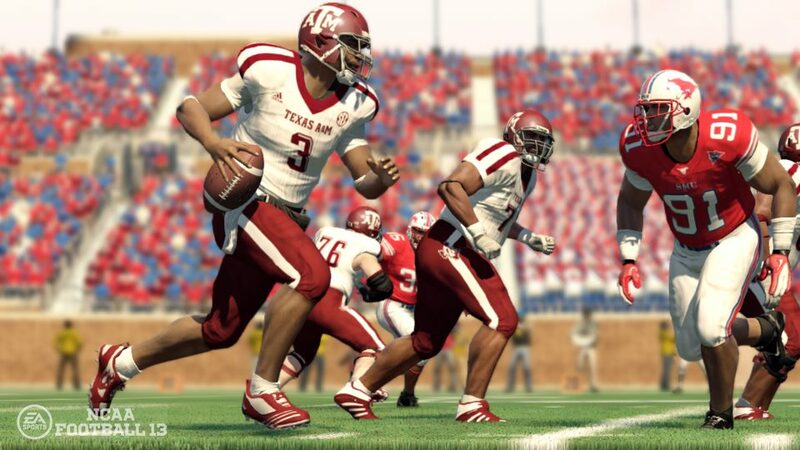 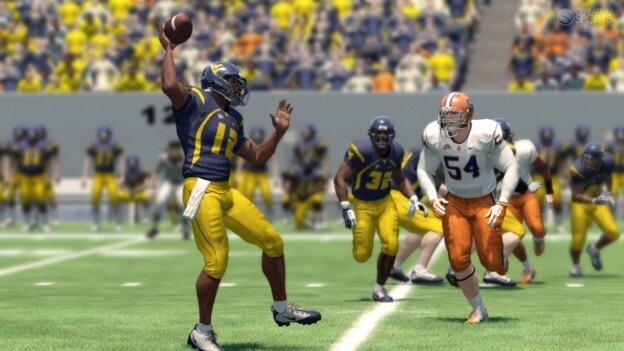 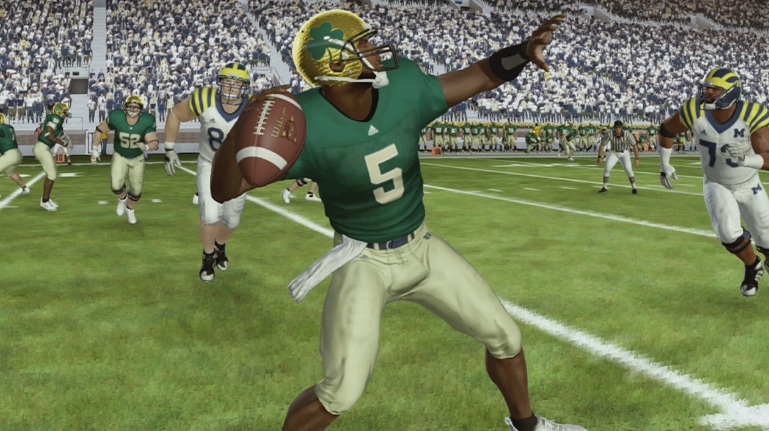 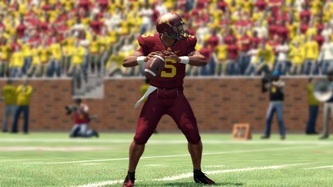 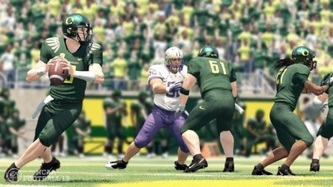 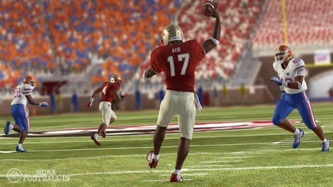 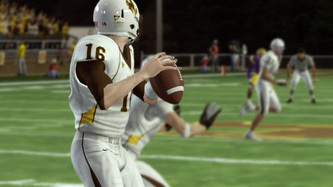 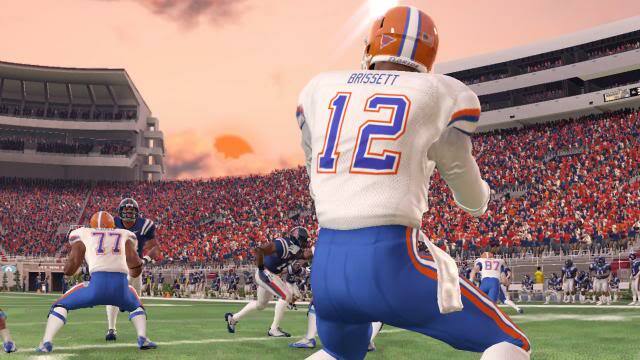 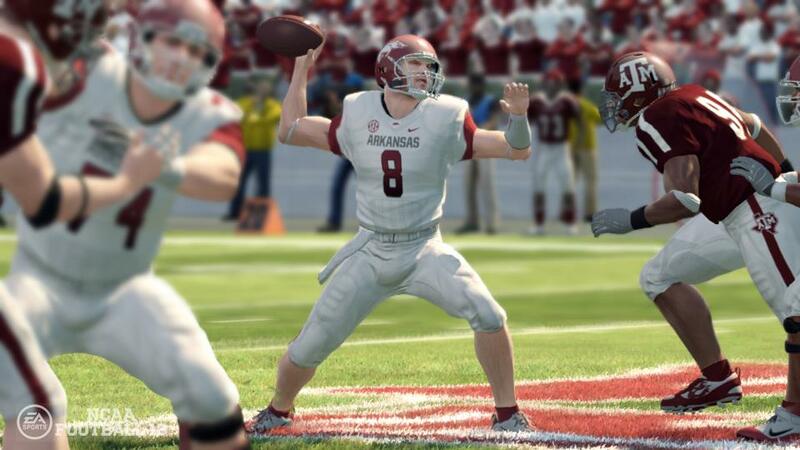 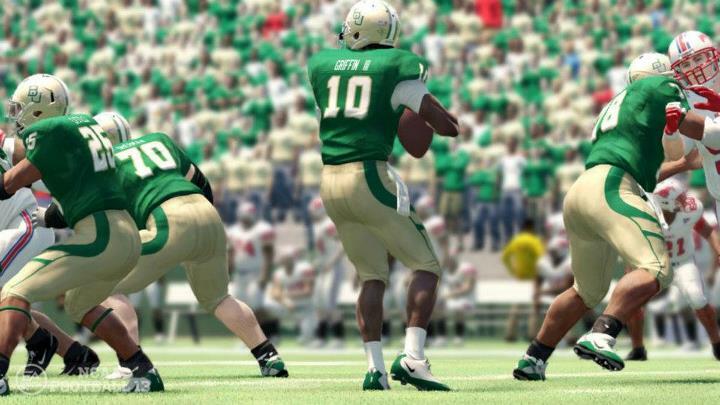 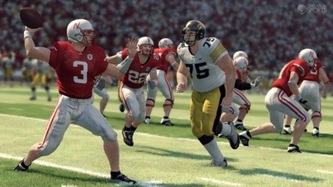 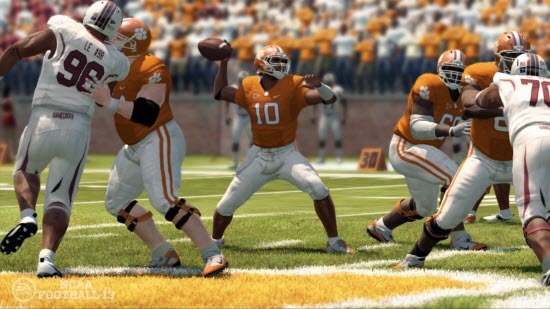 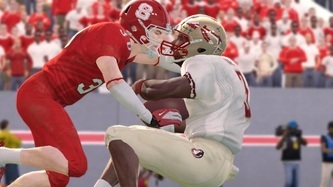 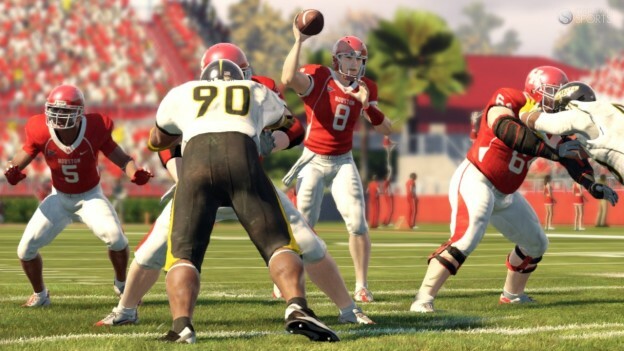 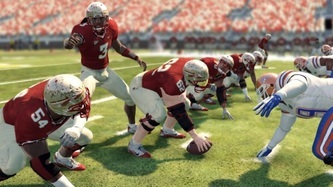 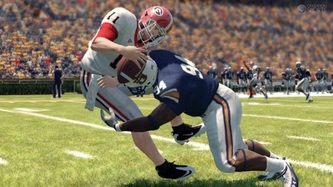 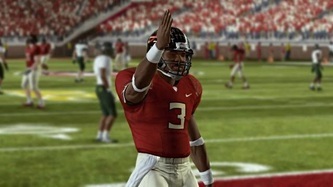 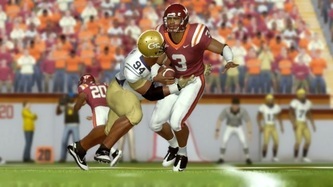 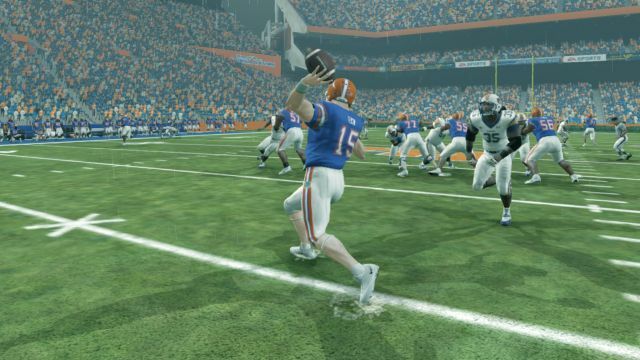 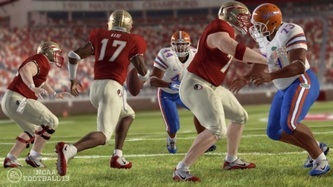 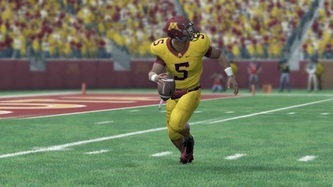 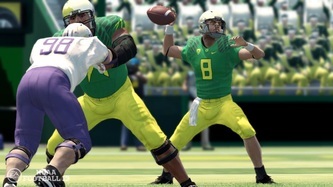 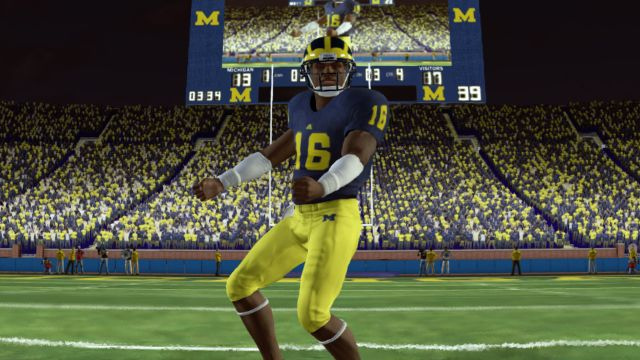 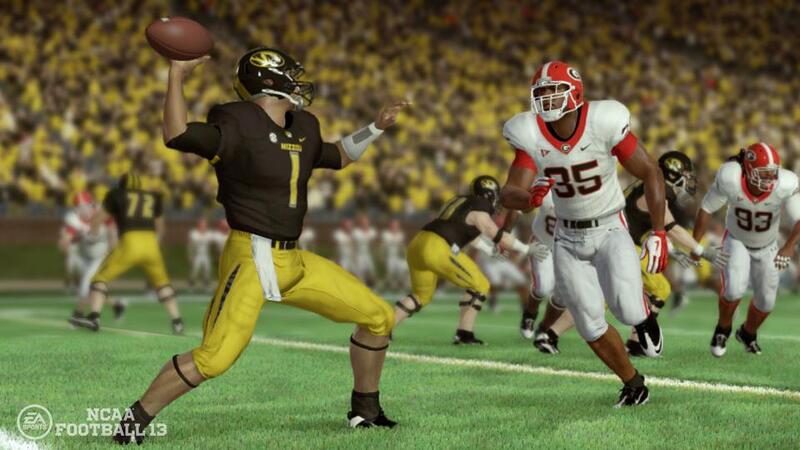 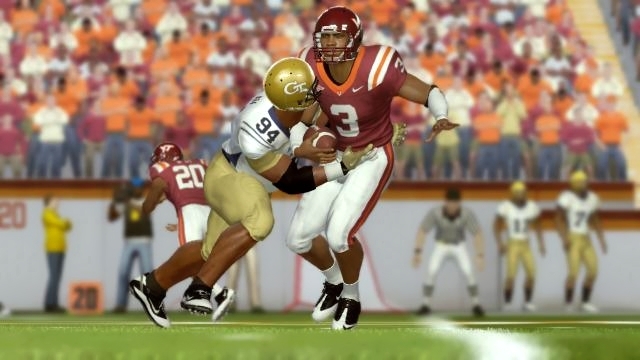 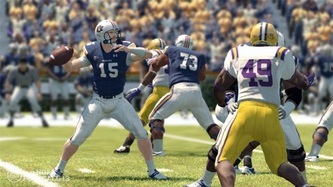 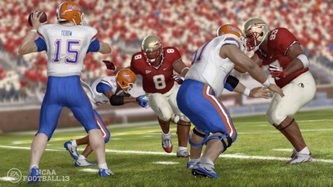 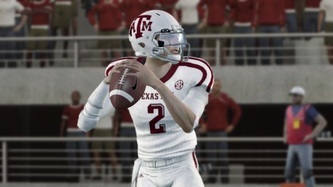 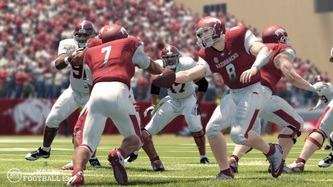 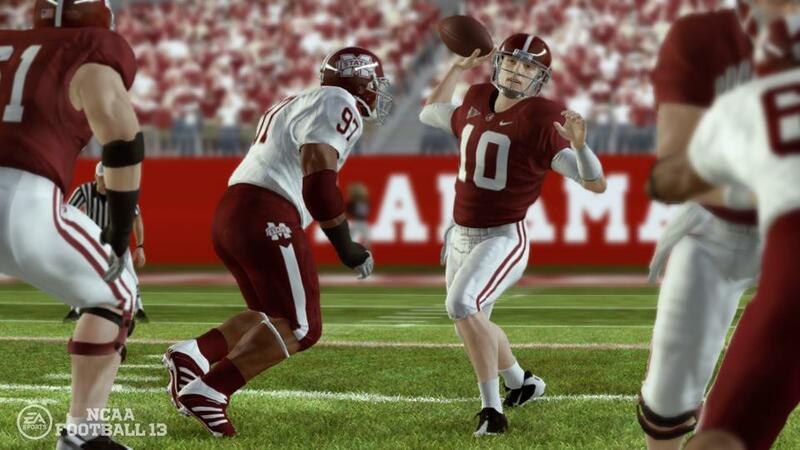 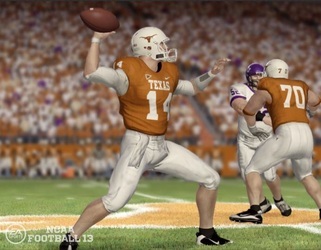 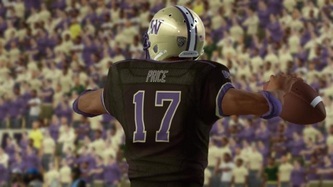 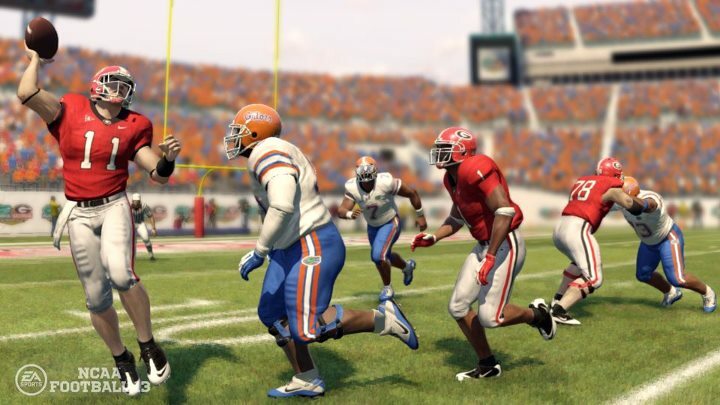 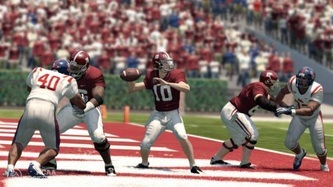 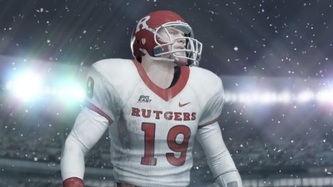 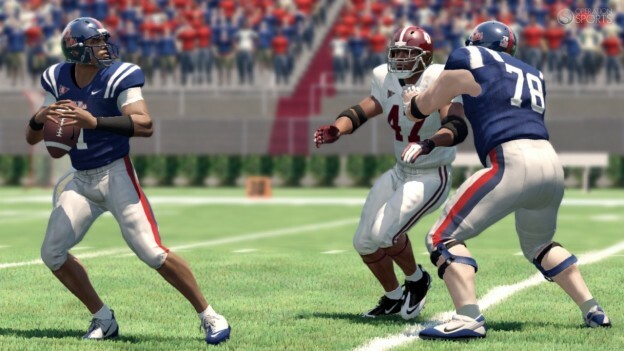 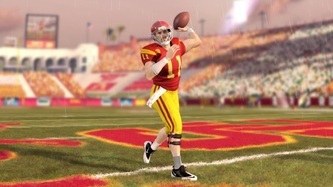 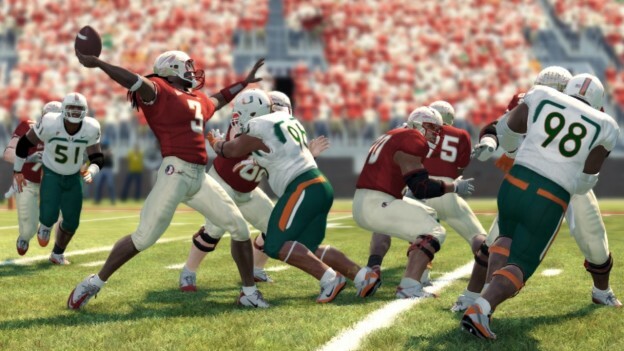 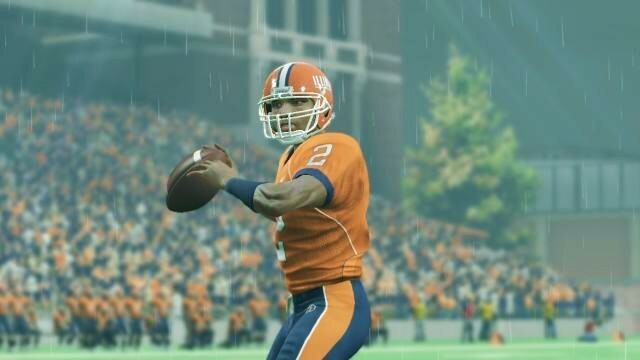 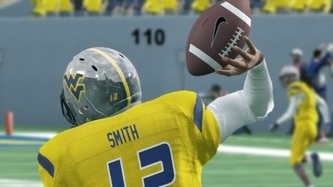 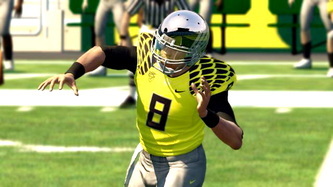 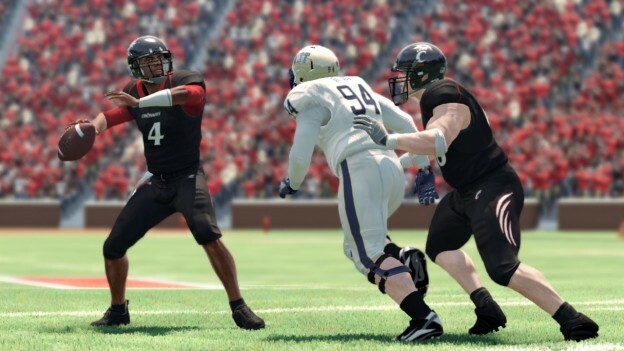 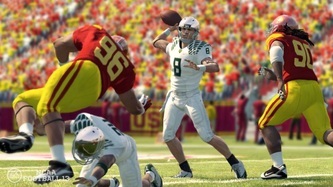 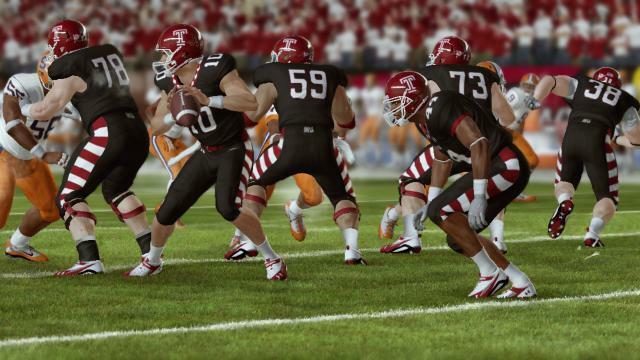 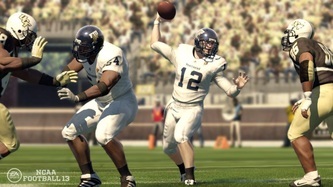 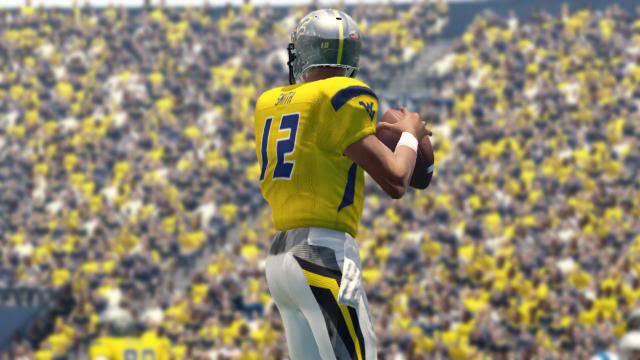 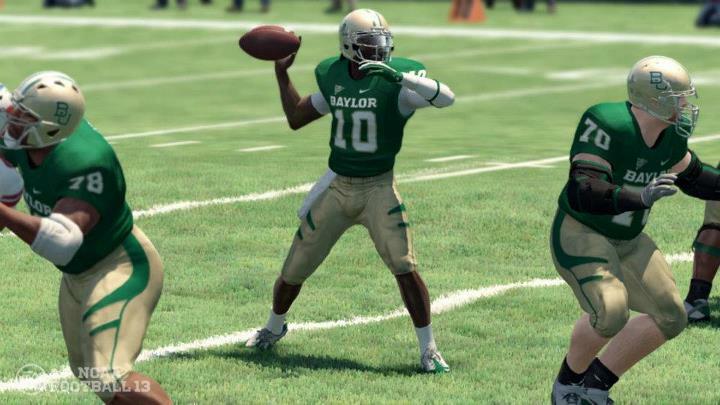 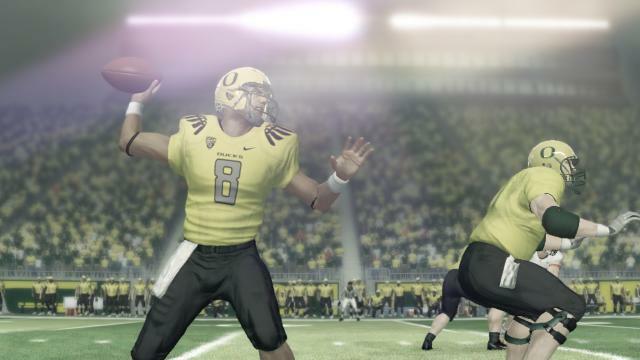 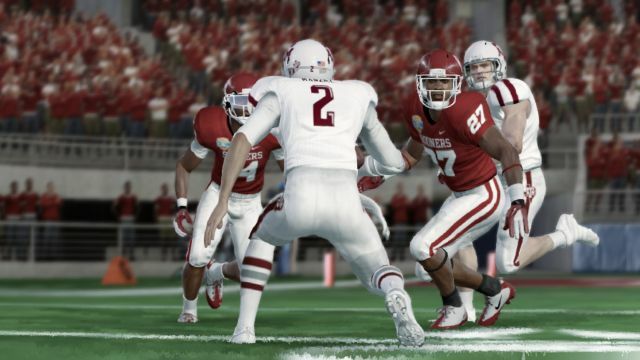 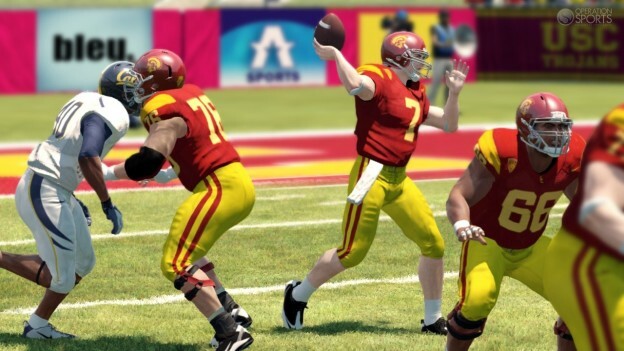 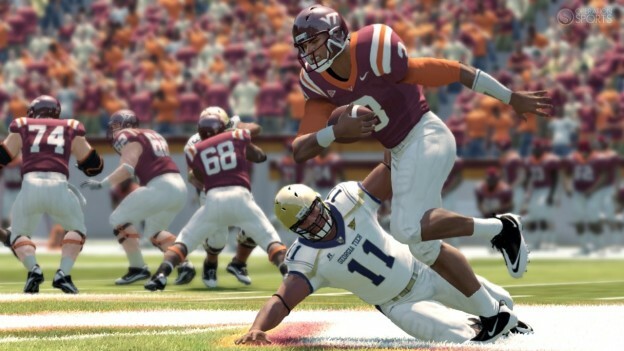 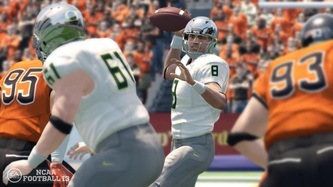 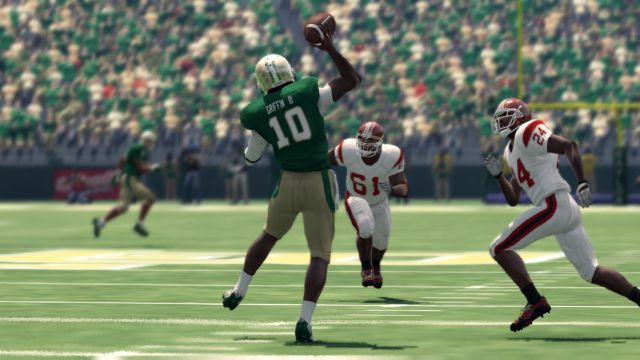 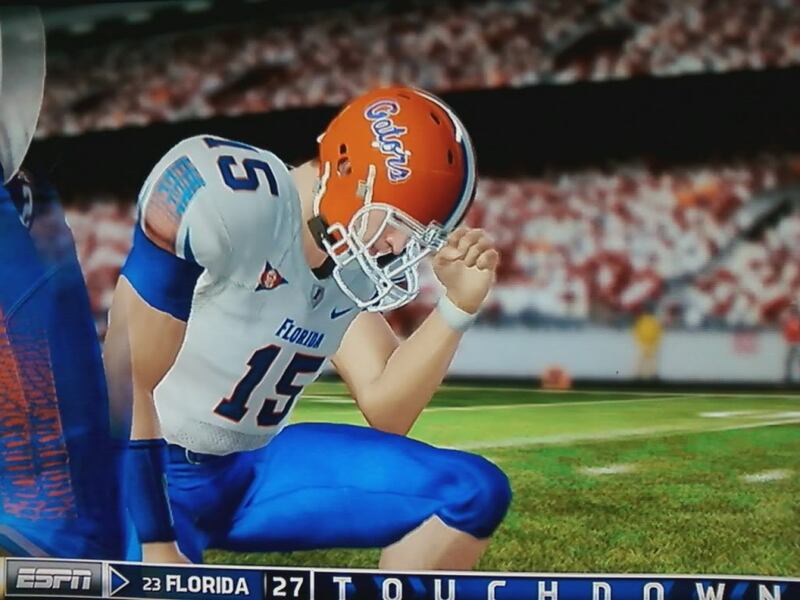 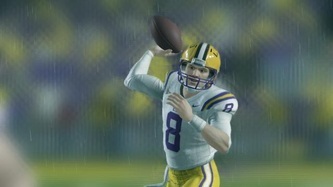 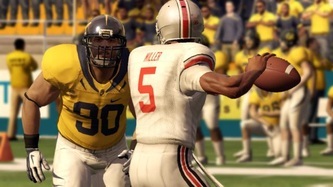 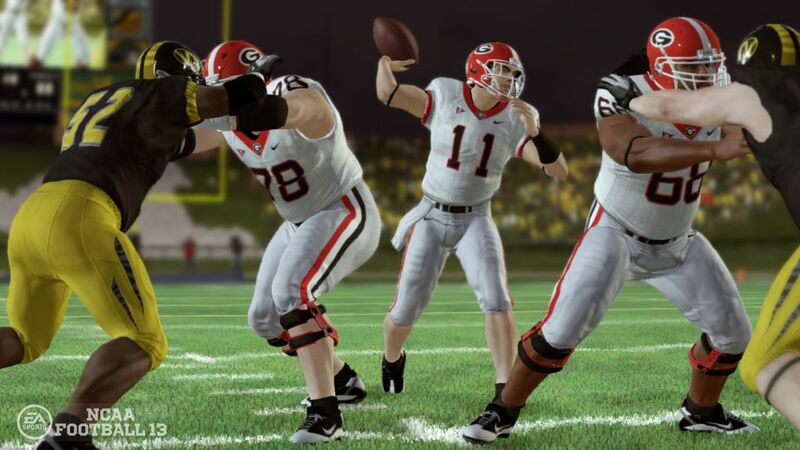 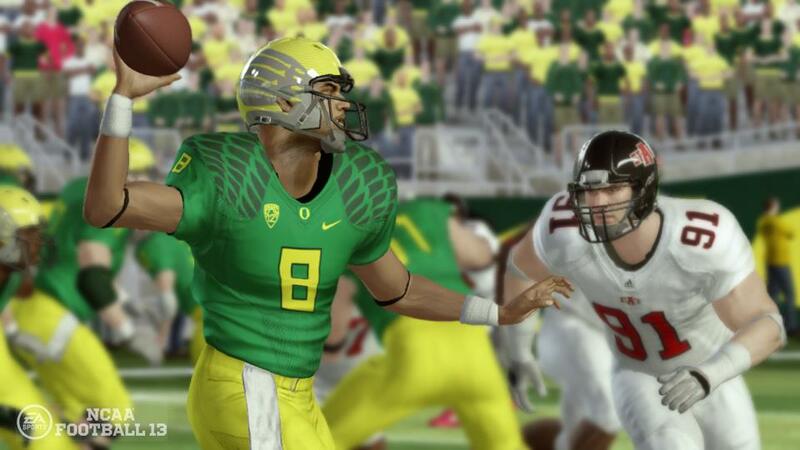 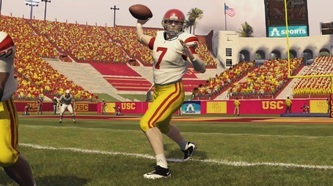 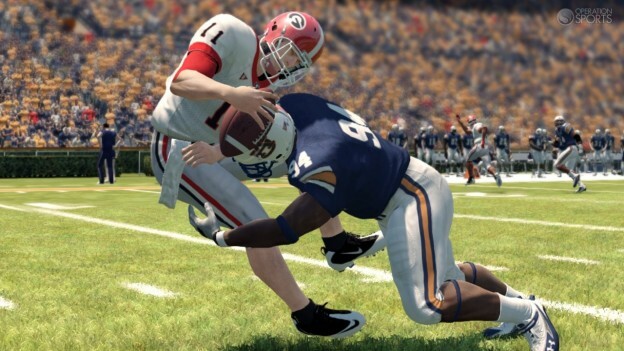 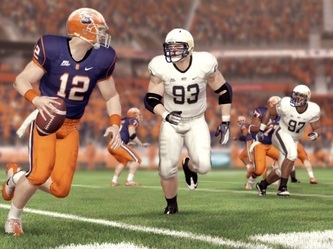 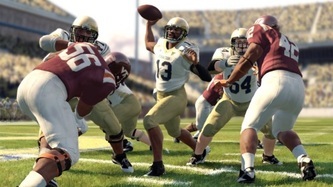 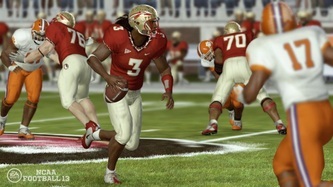 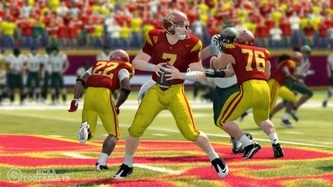 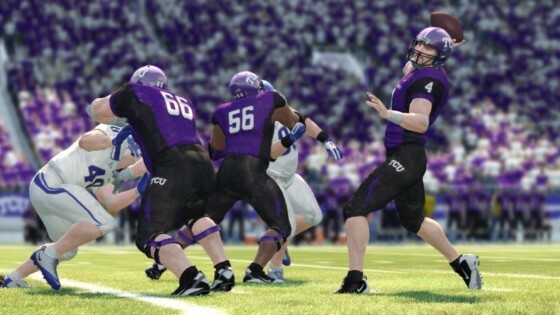 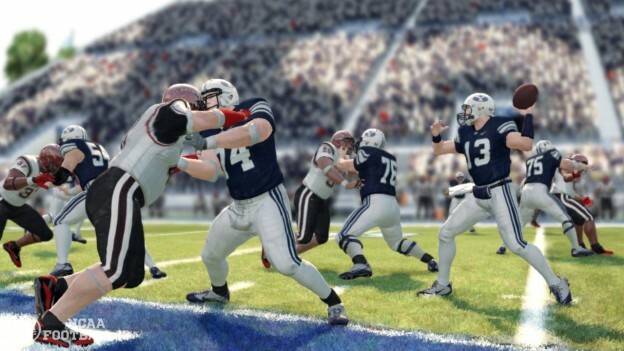 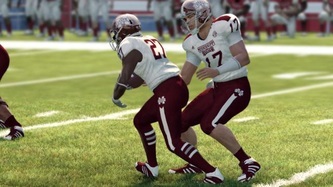 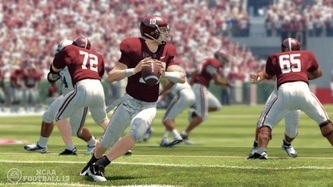 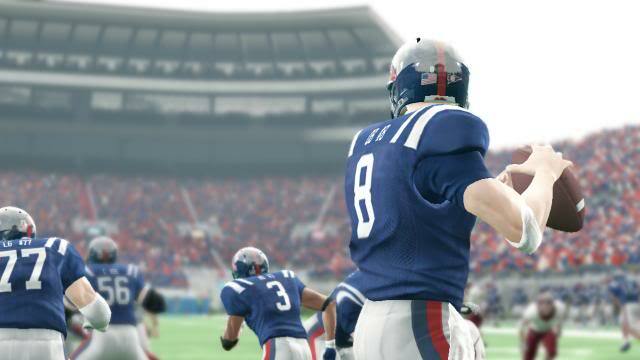 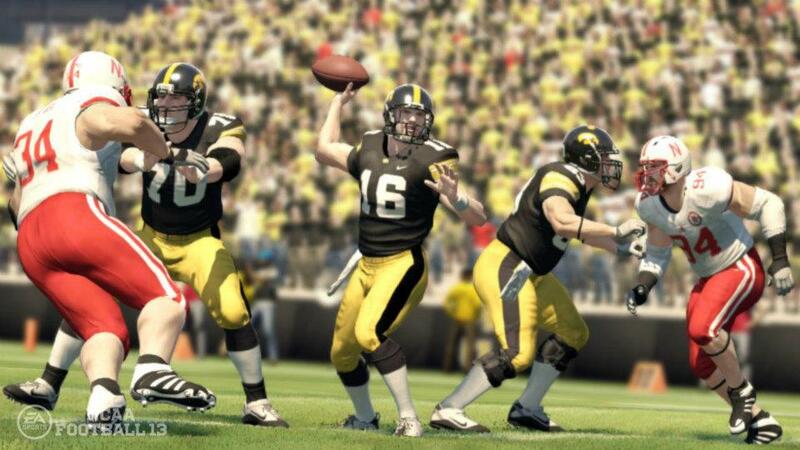 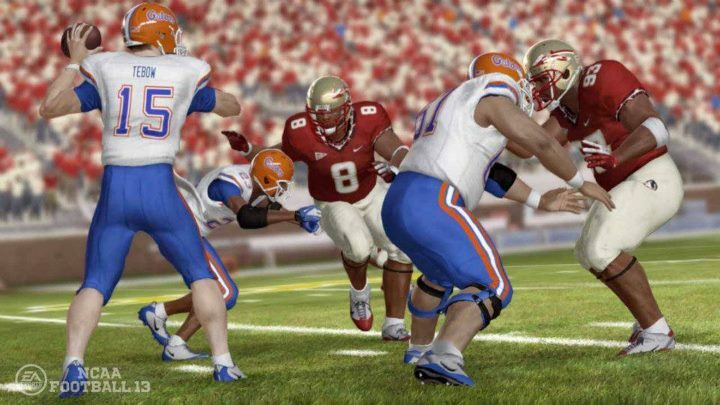 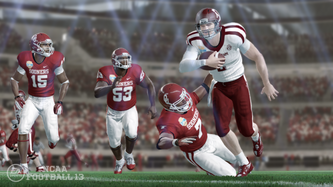 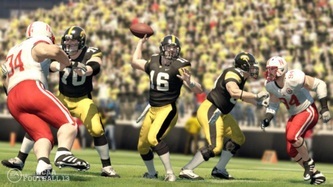 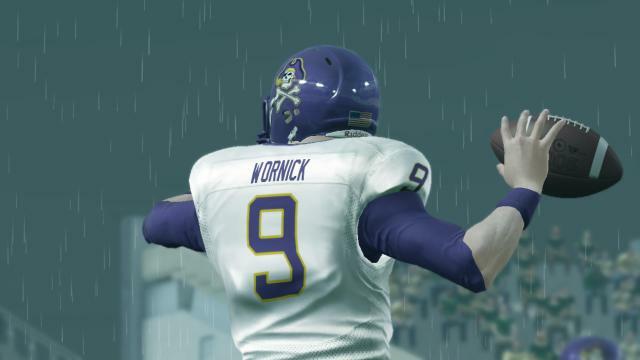 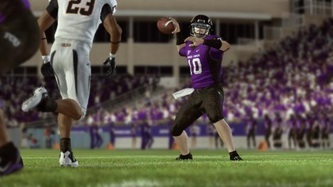 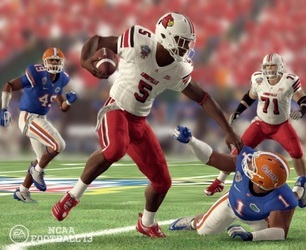 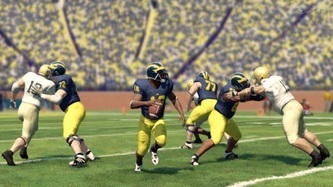 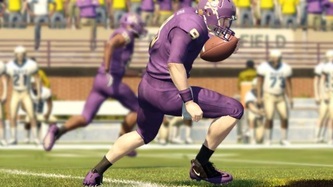 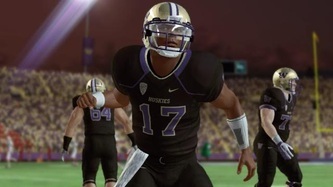 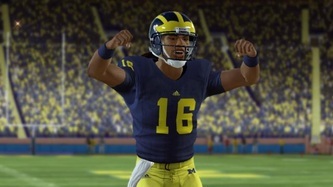 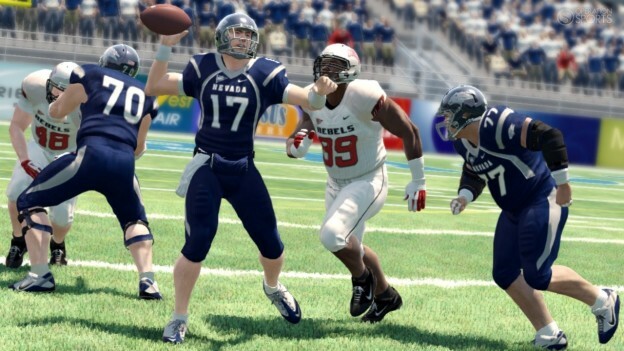 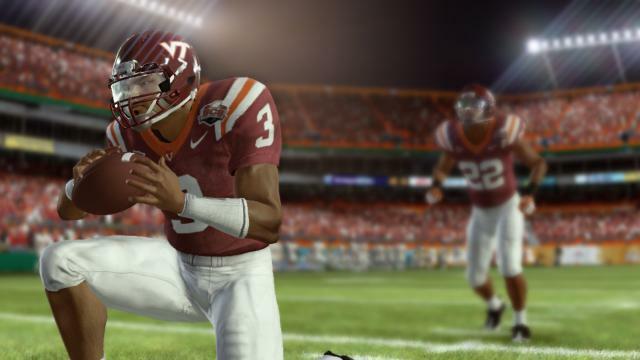 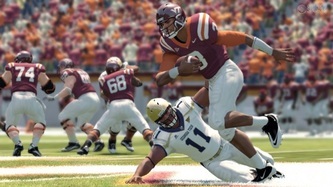 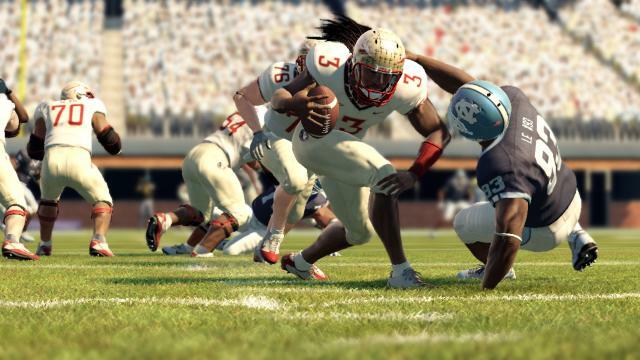 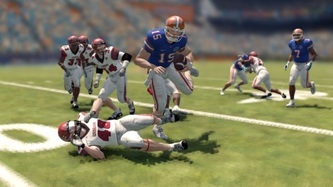 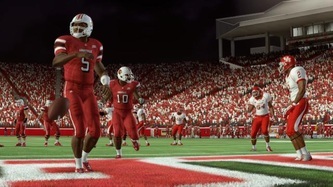 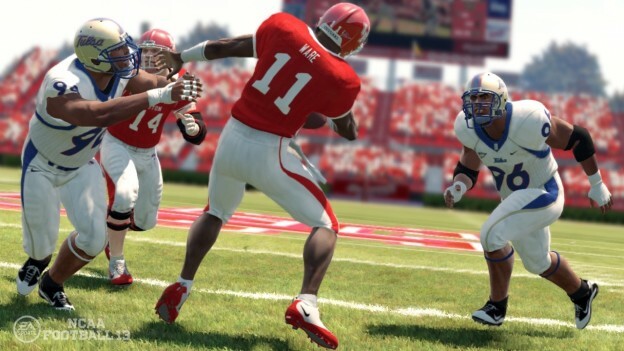 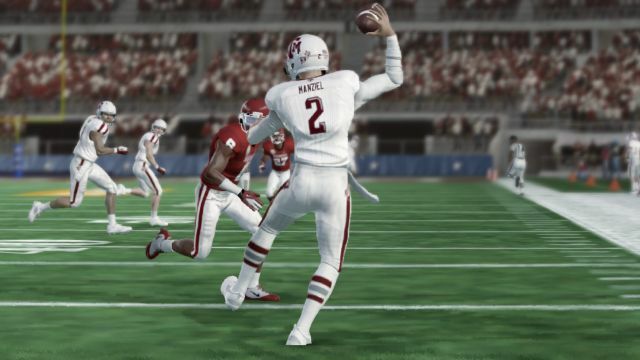 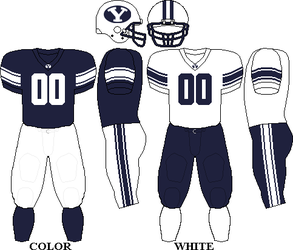 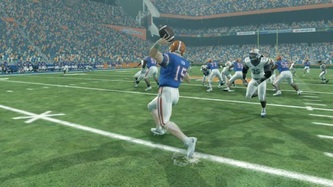 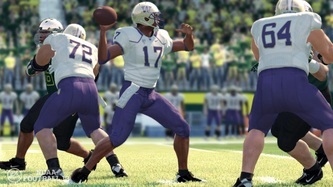 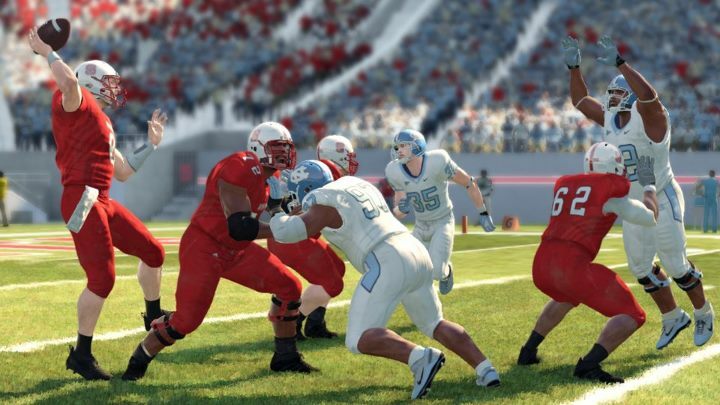 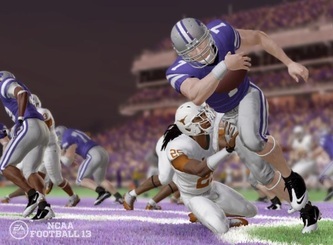 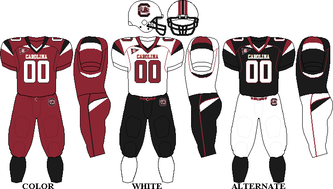 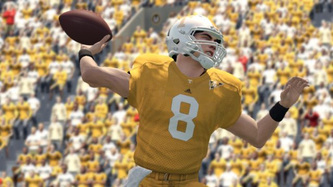 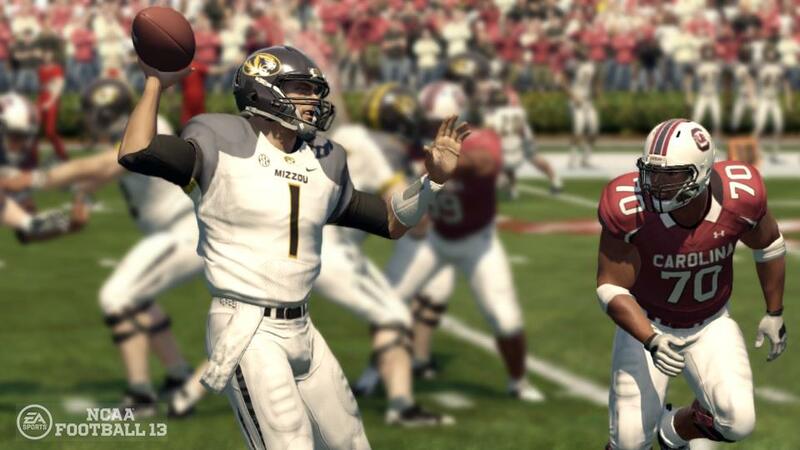 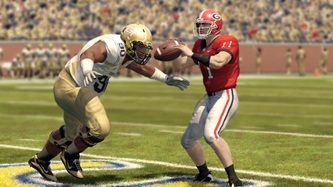 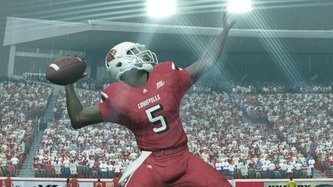 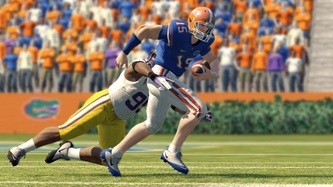 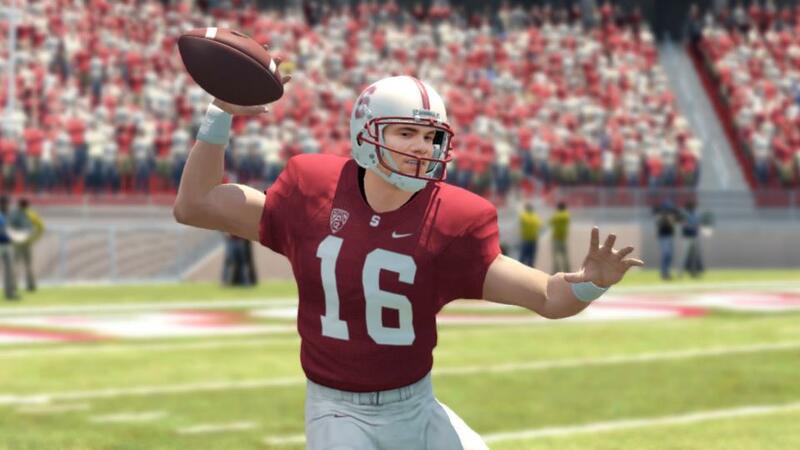 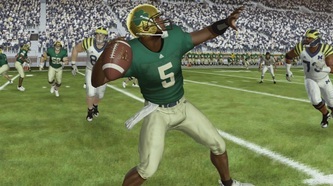 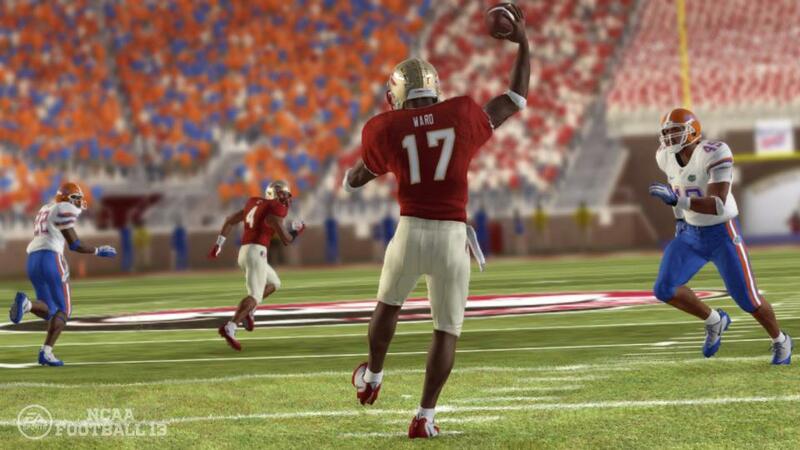 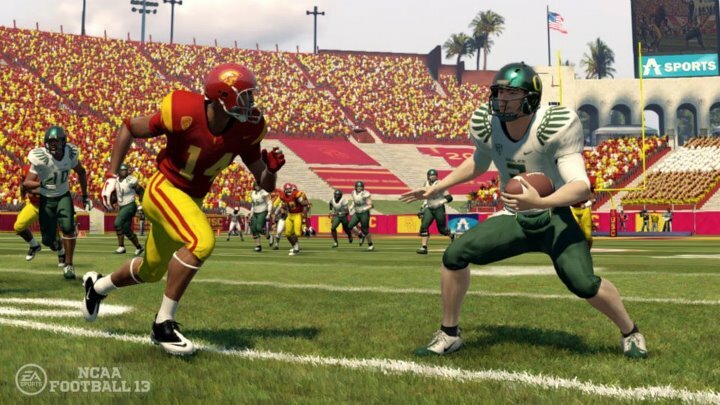 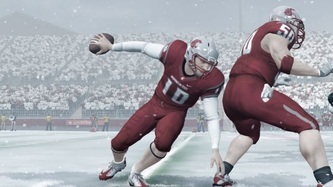 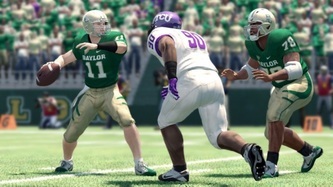 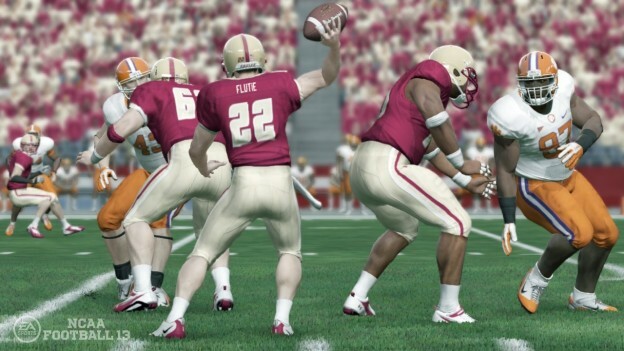 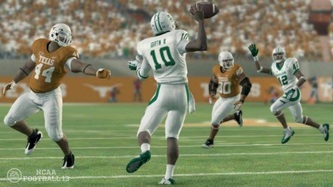 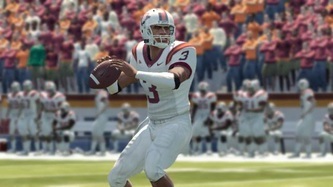 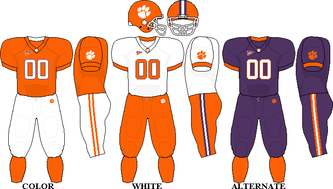 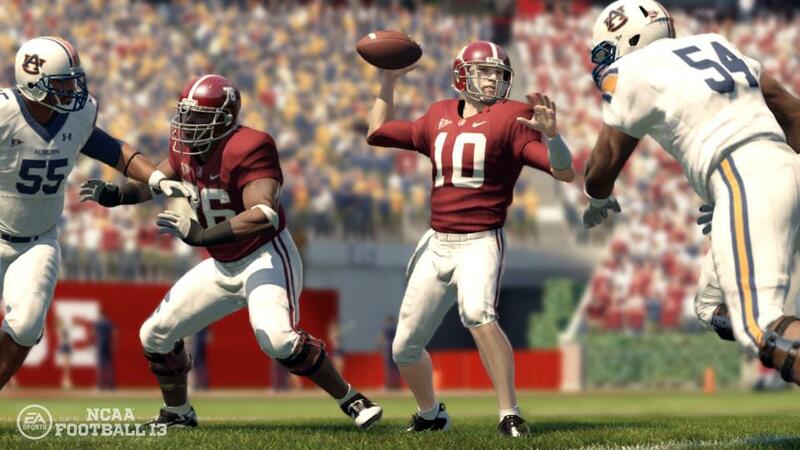 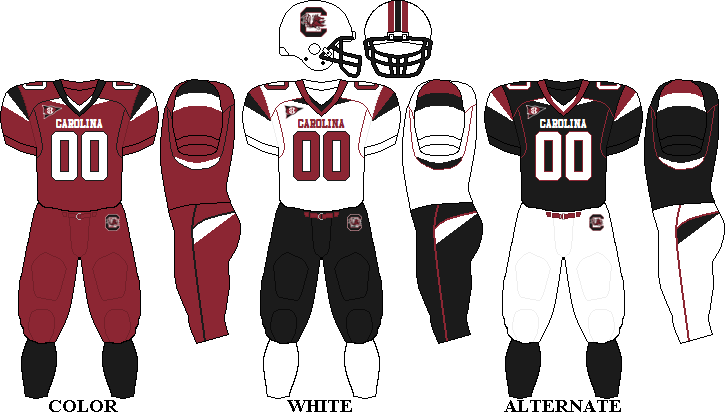 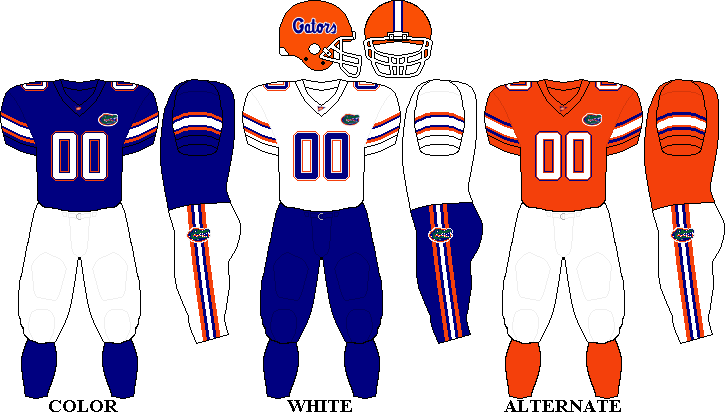 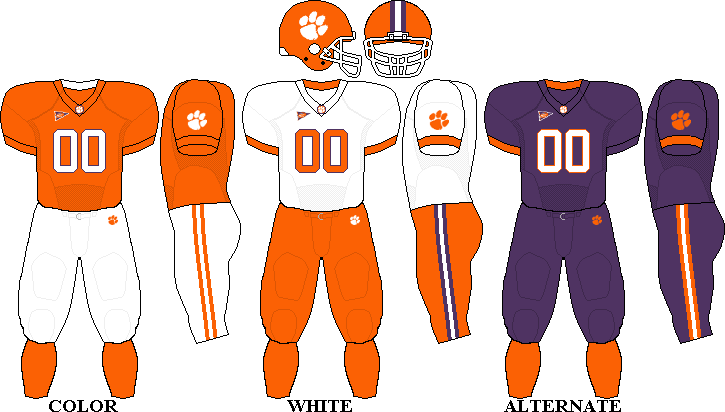 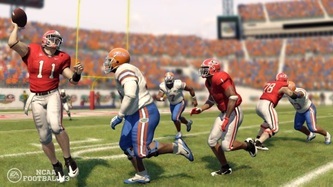 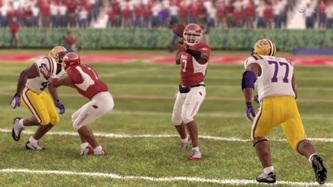 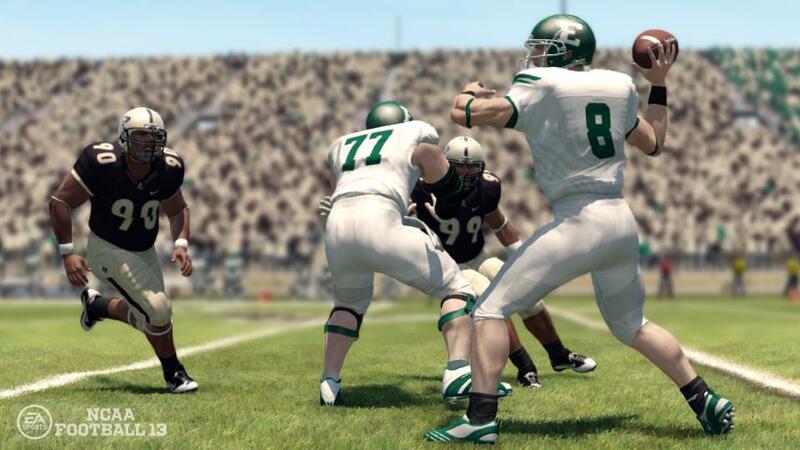 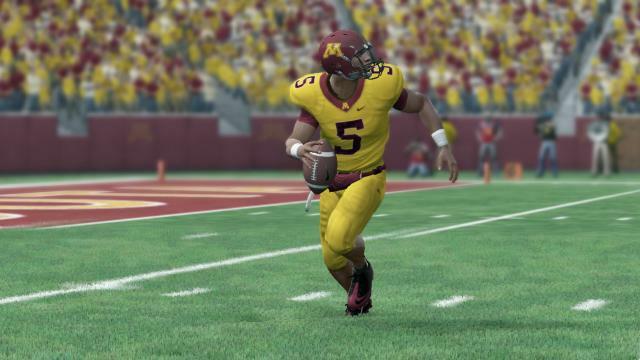 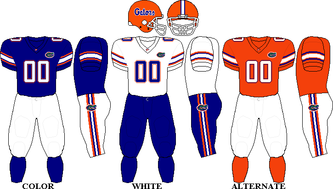 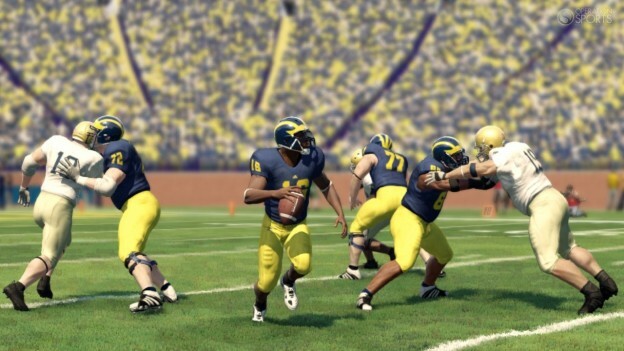 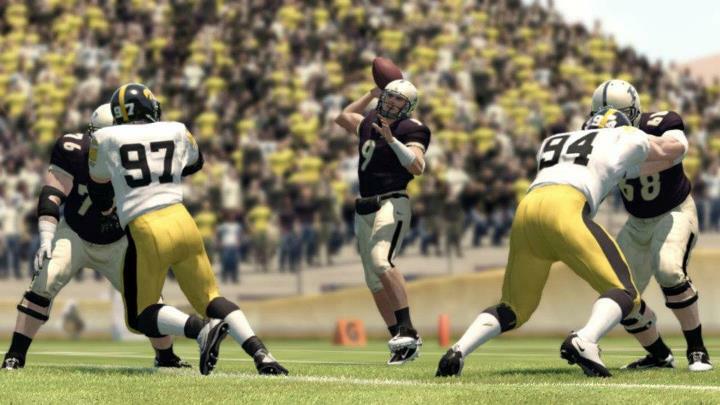 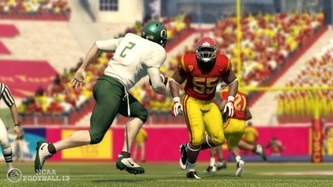 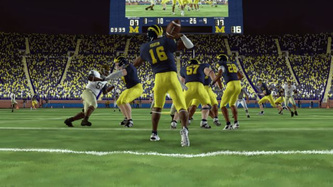 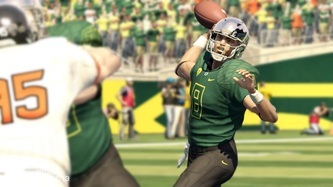 This was the first installment of the game to include past NCAA Heisman legends as playable characters. 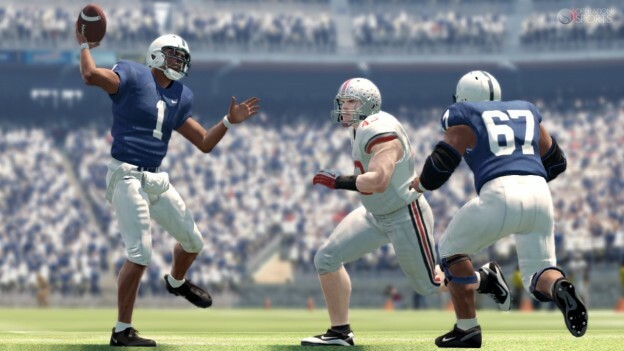 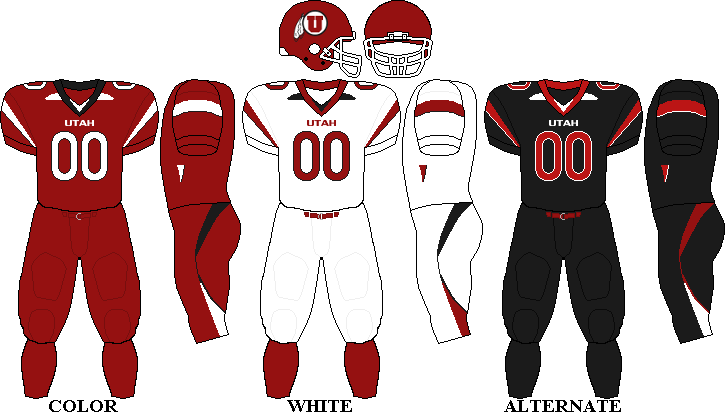 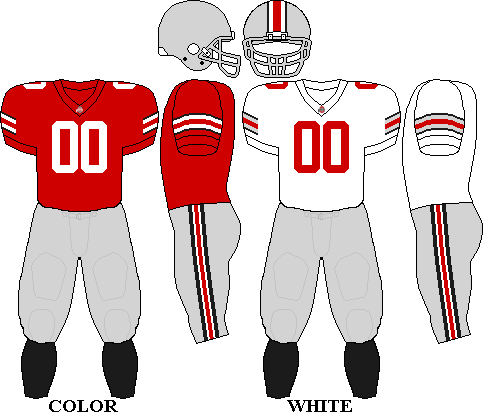 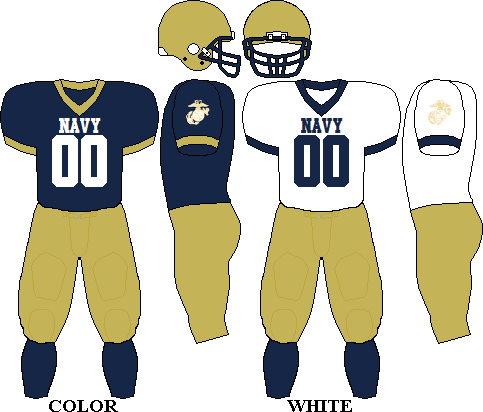 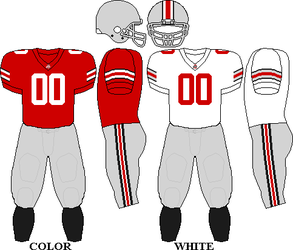 RB Marcus Allen, QB Doug Flutie, RB Eddie George, QB Robert Griffin III, WR Desmond Howard, QB Carson Palmer, RB Barry Sanders, QB Charlie Ward, QB Andre Ware, RB Herschel Walker are available to play as in the game. WR Tim Brown, RB Archie Griffin, and QB Jim Plunkett are available in the demo download and QB Mark Ingram, QB Matt Leinart, and QB Tim Tebow are available from a GameStop pre-order. 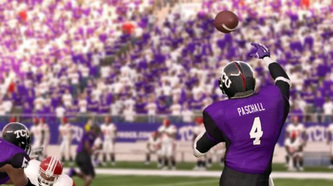 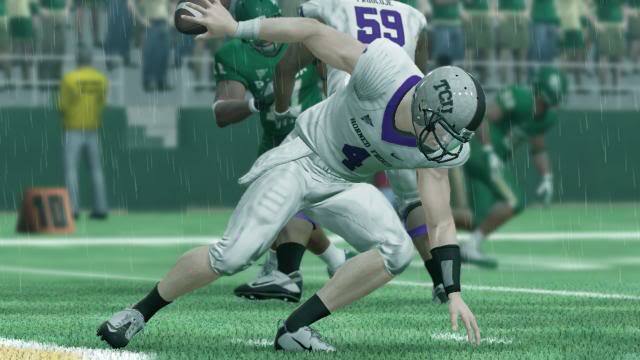 Casey Pachall (Texas Christian Horned Frogs QB #4) was suspended from the team indefinitely shortly after the season began. 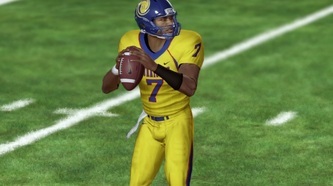 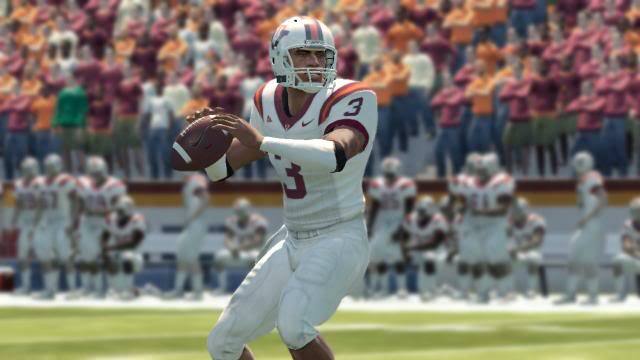 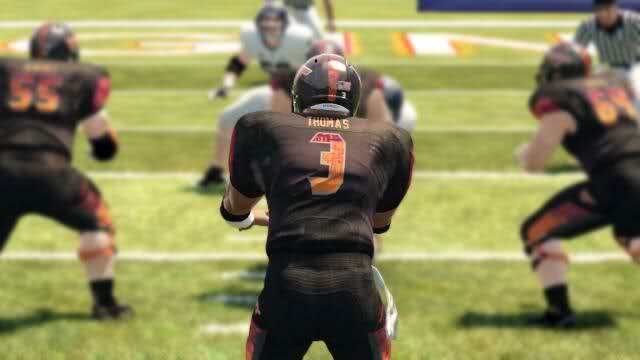 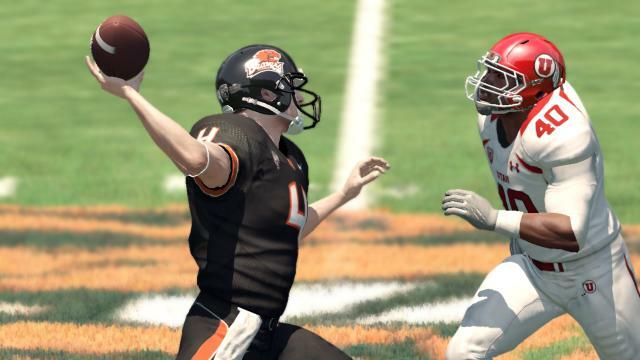 Ryan Katz, former Oregon State QB, transferred to play for San Diego State, however he was left out of the game. 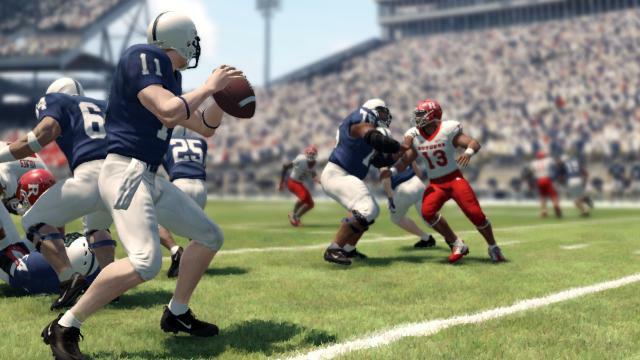 Silas Redd (Penn State Nittany Lions HB #25) remains on Penn State's roster, however he transferred to play for Southern California. 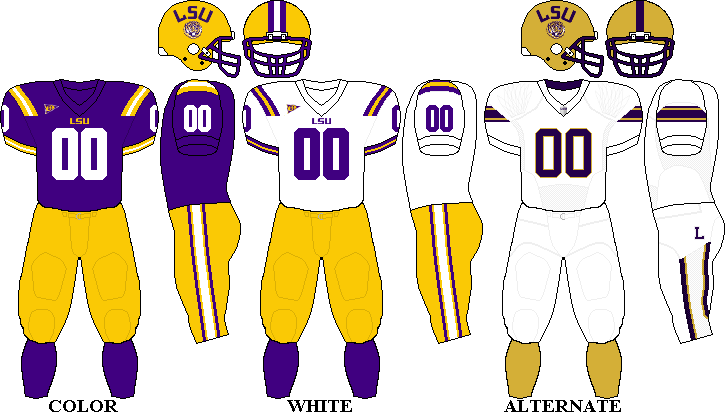 Tyrann Mathieu (Louisiana State Tigers CB #7) remains on LSU's roster, however he was dismissed from the team right before the season started. ---> Info: Full detailed list of player ratings for every player in the game based on their class year. 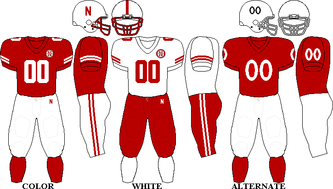 Players not named however. 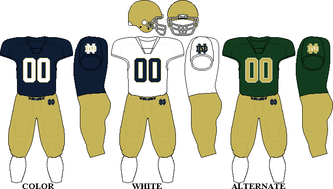 ---> Info: List of team ratings, player equipment, and team playbooks in the game.